The second generation Mi Mix is finally here as it was launched a few hours earlier by Xiaomi during an exclusive press conference at home. 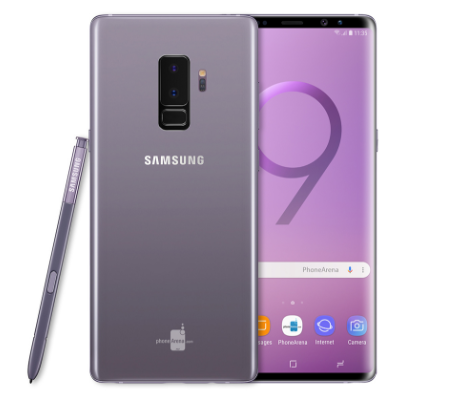 Now that we know everything that there is to know about the handset, we can assure you that there are quite a few good things about it, as well as a few confusing decisions that we are not exactly a fan of. 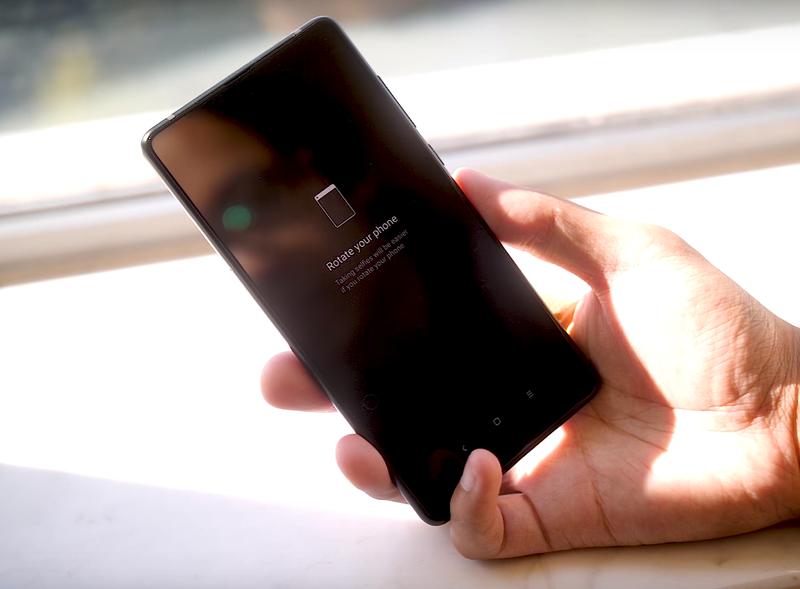 There is nothing ugly about the Mi Mix 2 fortunately and if you can live without some of the somewhat controversial decisions, the Mi Mix could be that unique flagship phone you always wanted! If you are willing to shell out as much as $720 though, a rarer all-ceramic version of the smartphone with 8GB of RAM and 128GB of storage will also be available for grabs soon. 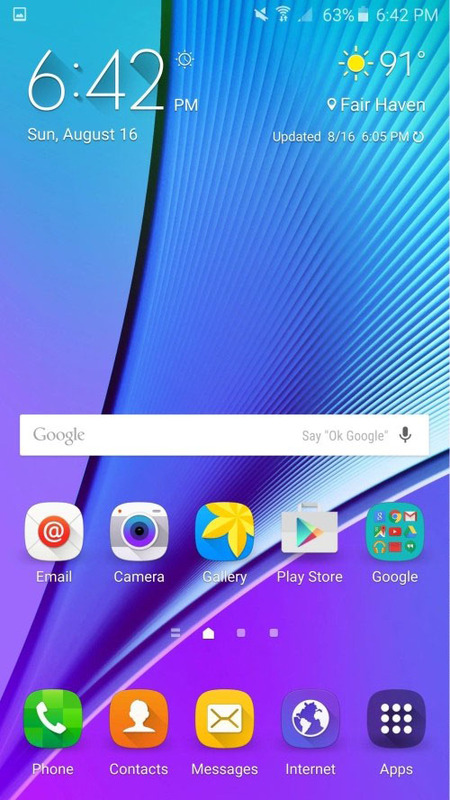 Samsung latest flagship devices such as Galaxy Note5 and Galaxy S6 edge+ launched with Android 5.1.1 Lollipop that packs a whole New TouchWiz UX. 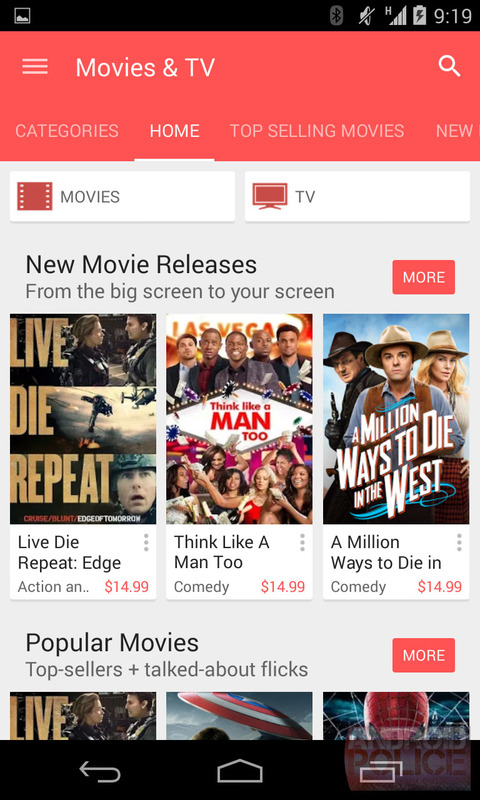 The New User Interface adopts Google's Material Design even more. 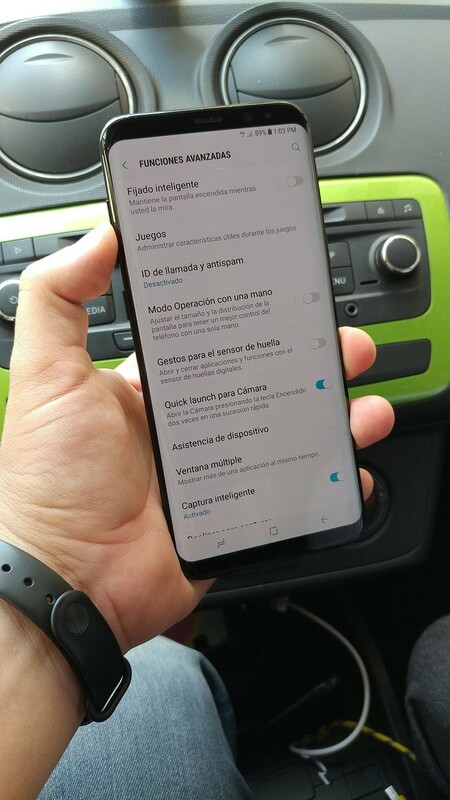 In the New 2015 TouchWiz, Samsung updated all its default system apps, from music player, photo gallery to the settings, contacts app, phone dialer and multi-task manager. 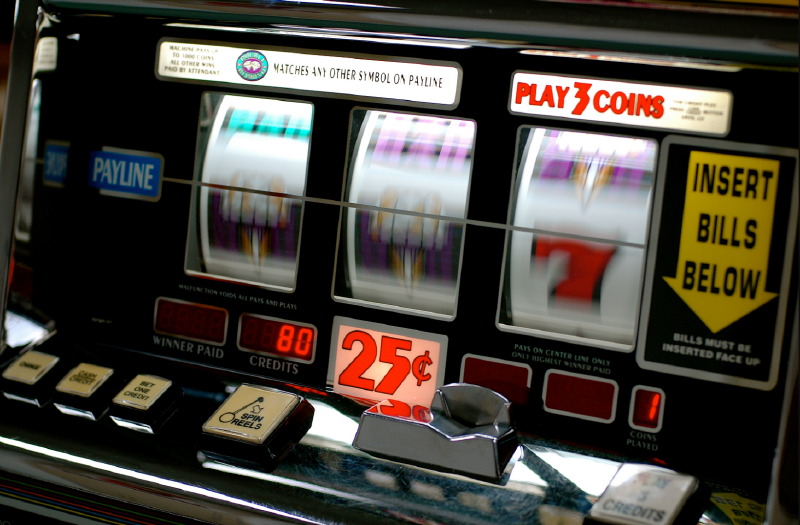 This release is focusing more on the Interface than adding new core-features to the software. 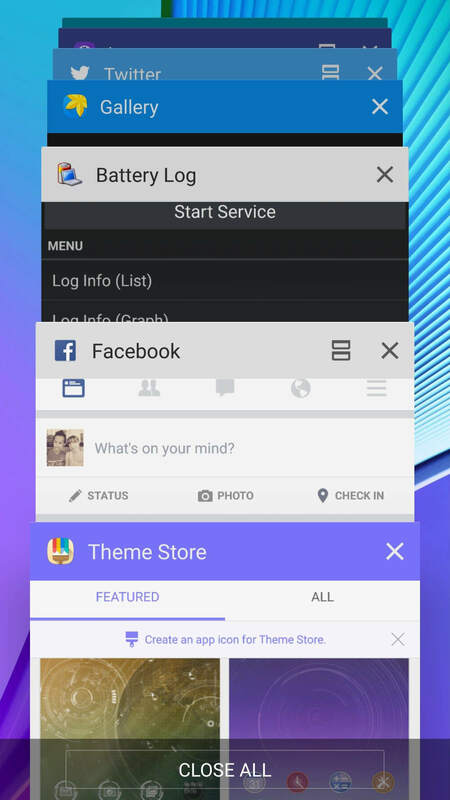 we have to be honest, TouchWiz UI came a long way since its release with Android 2.3 Gingerbread. 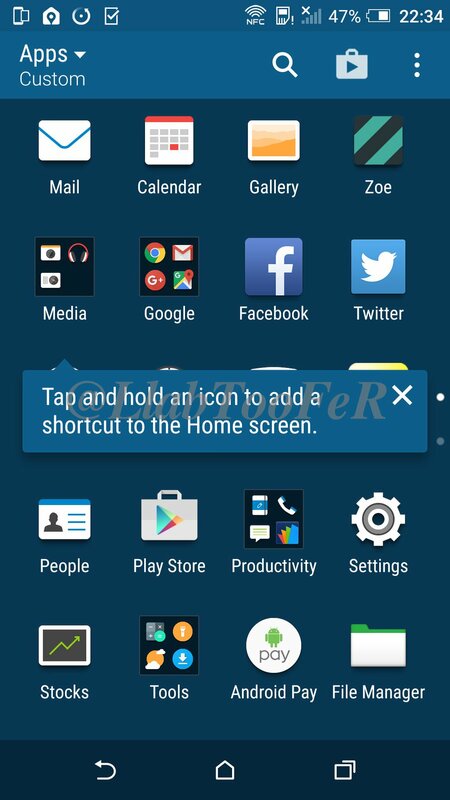 Check the Exclusive screenshots below to Take a first look at the New TouchWiz UX (all screenshots below are taken from a Galaxy Note5), Enjoy! 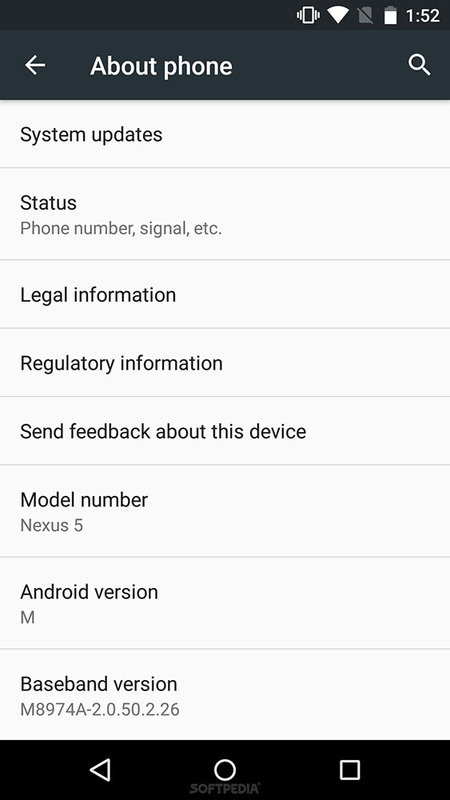 Google's new Android M Developer Preview is Now Available for download (on Nexus 5, 6, 9 only) for devs to start optimizing their apps to make them fully ready for launch when Android M launches on retail devices at the end of Q3 2015, and while we're all busy flashing the build to our Nexus devices, we noticed Google gives a very detailed break-down of all the new features in Android M.
Apart from the 6 key improvements in Android M - app permissions, web experience, app links, mobile payments, fingerprint support, and power and charging - there is a lot of interesting stuff that Google just couldn't show at the event, or it would have become a marathon for the viewers. 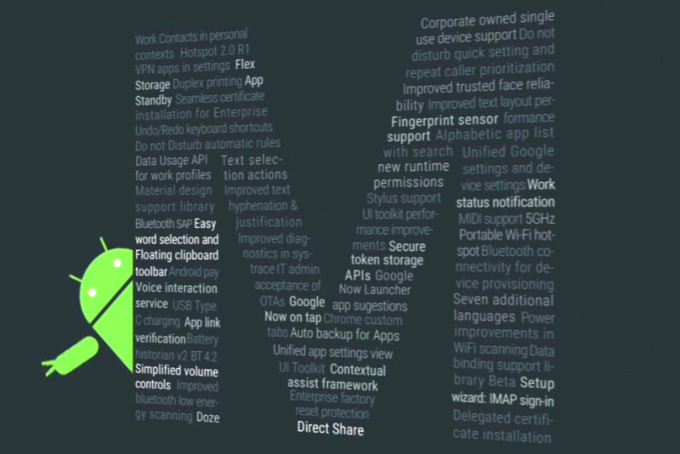 "Finally," someone in the crowd at Google I/O shouted when software head David Burke announced that Android M brings improved word selection and a new clipboard toolbar. Currently, you have a bar of obscure icons at the top when selecting text and that is changing to a floating window that appears alongside your selection (a much more logical place) and features clear and concise buttons rather than obscure icons: 'cut', 'copy', and 'paste' is what the buttons say. Word selection is now also improved as you can select jumping word by word, or character by character. Finally, Google is building a standard API for fingerprint support that - it seems - apps can make use of, and it will be a unified way for phone manufacturers to encode support for fingerprint scanners, knowing that they are compatible with the new Android Pay NFC-based system. Sharing on Android is by far the best of any mobile operating system, but it's still far from perfect. When you have a bunch of apps installed, you end up with a huge list of sharing options that is extremely frustrating to operate. 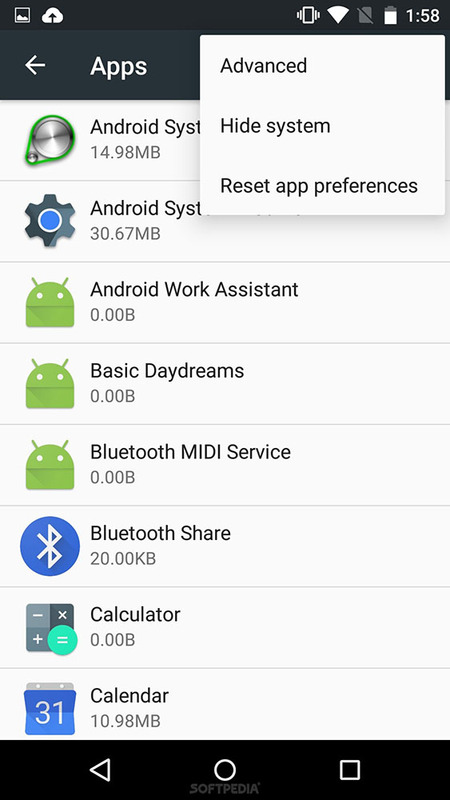 Direct Share in Android M fixes that by prioritizing and putting first the options that you use the most and that are the most logical for that particular item. 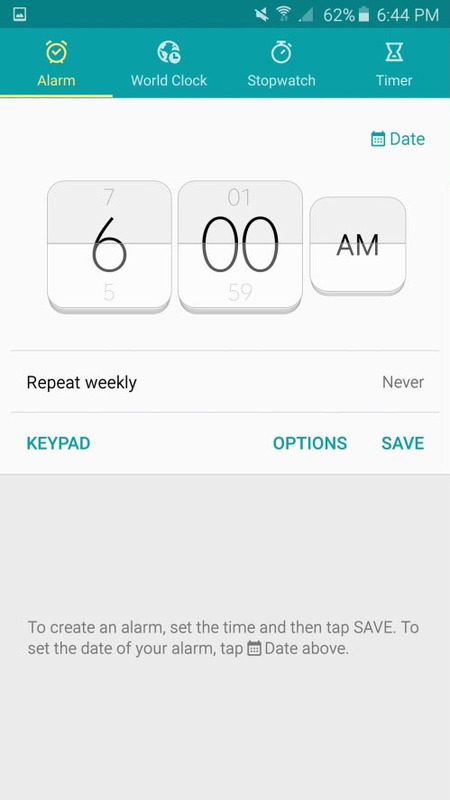 Doze is a deeper state of sleep, especially useful for Android devices like tablets that spend a lot of time laying idle on a night stand, only to be picked up at night. 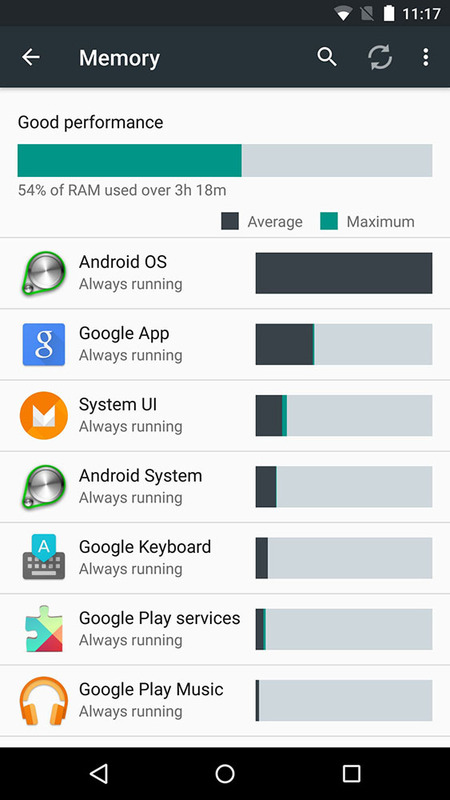 By hybernating apps and allowing only for alarms and priority notifications to stay awake, Android M brings significant improvements to standby battery life, extending it up to twice on a Nexus 9 unit that Google tested. If it ain't broken, don't fix it. 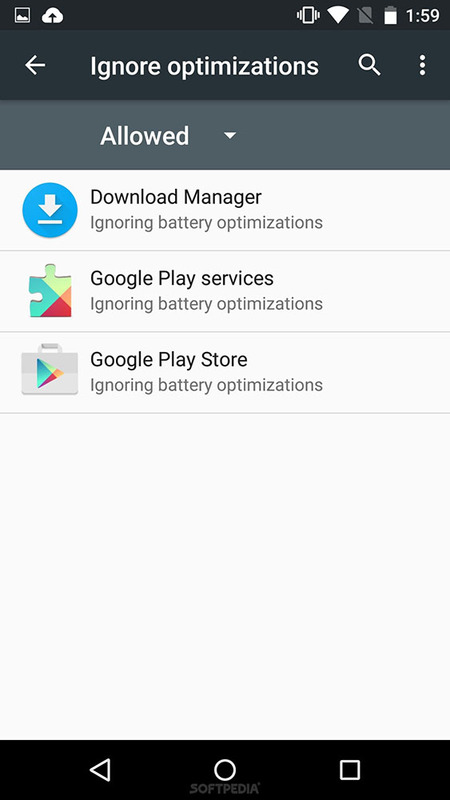 Google, however, did try to fix the non-broken volume controls in KitKat, and that resulted in an outcry from users frustrated with volume controls in Android 5 Lollipop. 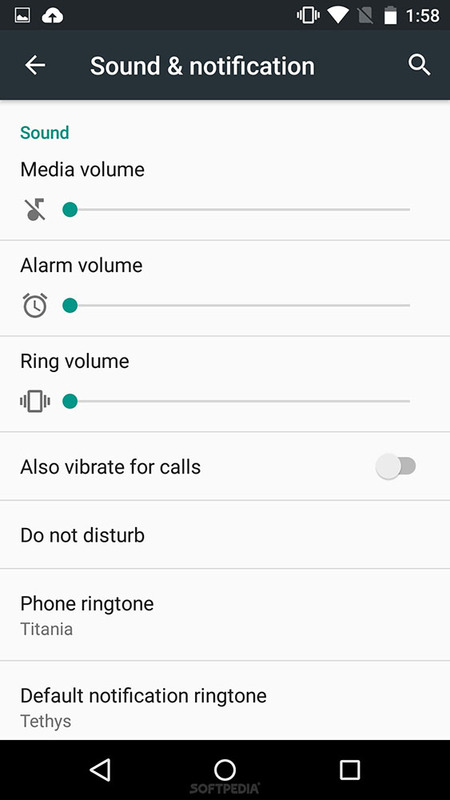 So, it was time to fix what has been fixed: volume controls are now again granular, with separate control for ringer volume, alarm volume, and media volume. Finally! 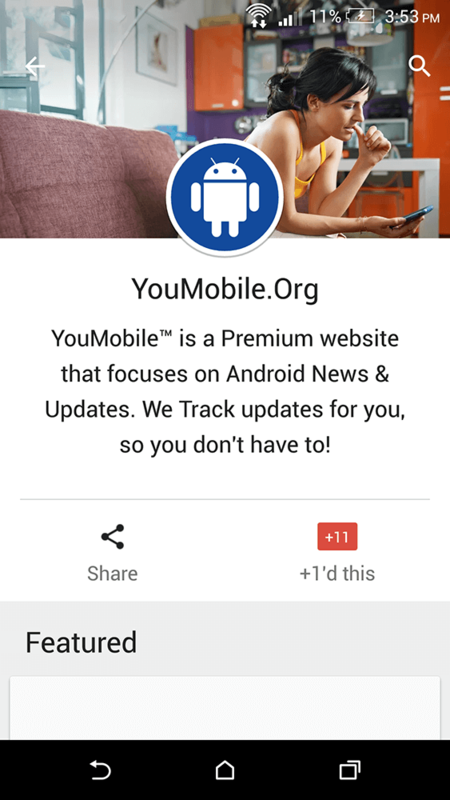 Google Now is getting contextually aware in Android M. What does that mean? 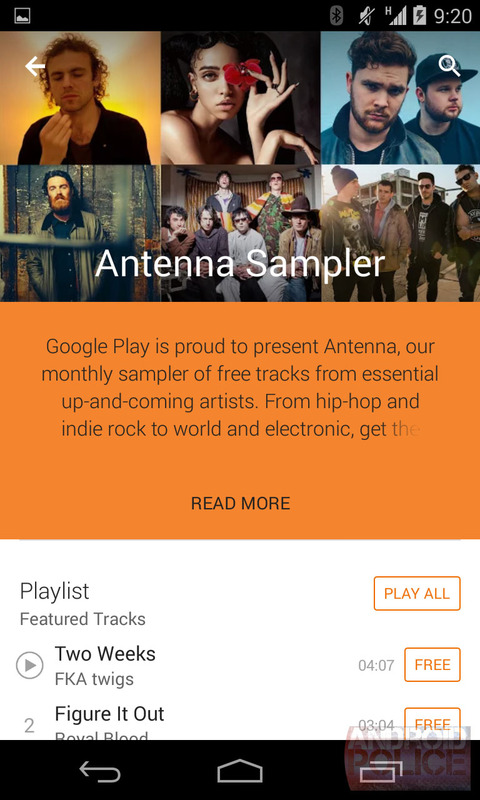 With the new Google Now 'On Tap' feature, your voice searches will be recognized contextually within an app. Say, you have the music player on, you can fire up voice search and ask something like "what year was this recorded? 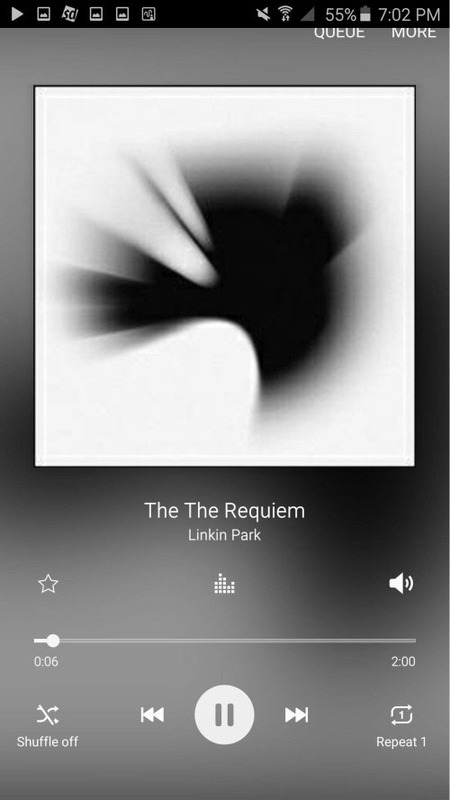 ", and the search will understand that 'this' refers to the song. Neat! 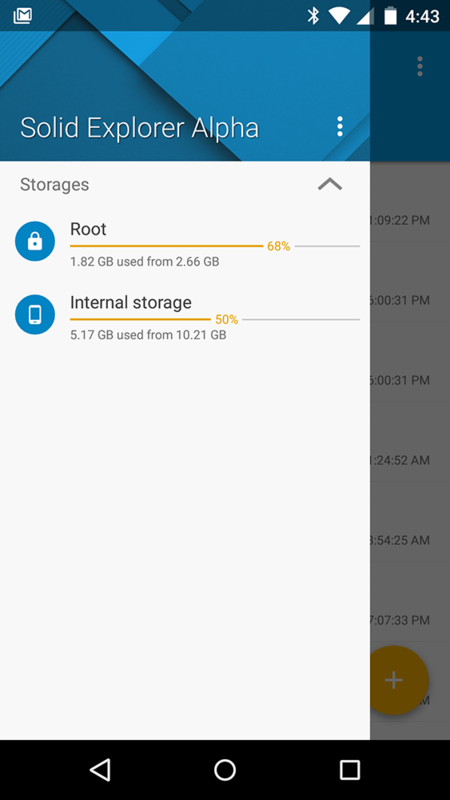 The Android system in M will automatically make a full data backup and restore for apps. This is something that is done for apps targeting M by default, with no need for developers to code in anything. If users delete their Google accounts, their backup data is deleted as well. Automatic backups happen every 24 hours, when the device is idle, charging, AND connected to a Wi-Fi network. This way, when you upgrade to a new device, or wipe clean a device, you can restore easily and pain-free. HTC has just launched its first Android 6.0 Marshmallow powered smartphone, One A9, which also packs an updated version of HTC Sense 7.0 UI. 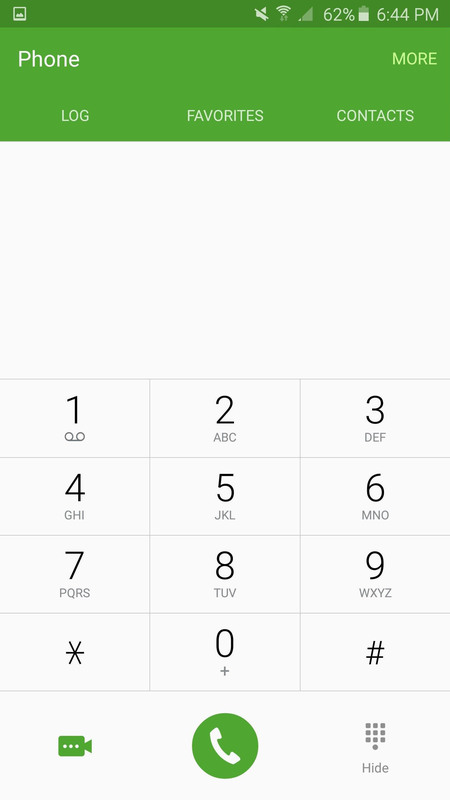 The new User Interface packs some minor improvements on top of Marshmallow. The Improvements can be visible on the System app's icons, Setting menu, Notification bar, HTC Sense Keyboard, App drawer and the blinkfeed too. 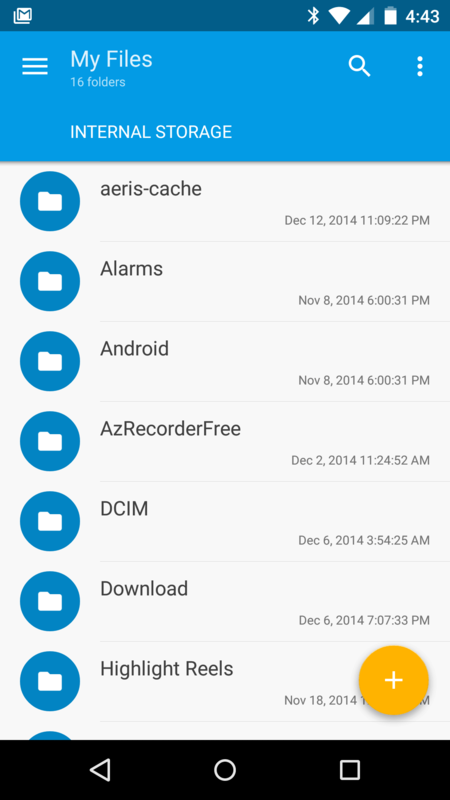 Everything is more flat than the previous Sense 7.0 release (for Lollipop). All the icons used are now packing a long-shadow style. The camera Interface has also been updated with flat simple icons. System-wide the new UI is taking advantage of all Marshmallow features and tries to follow Google's Material Design as much as possible but still keeping the good old Sense smooth feeling which makes it the perfect combination and the best custom launcher in the market. 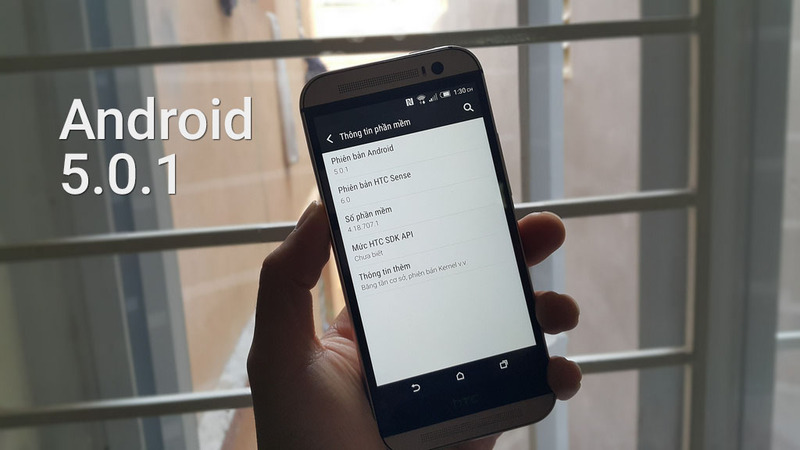 Check the video below to see the HTC One A9 with Marshmallow 6.0 Sense 7.0 UI in action. 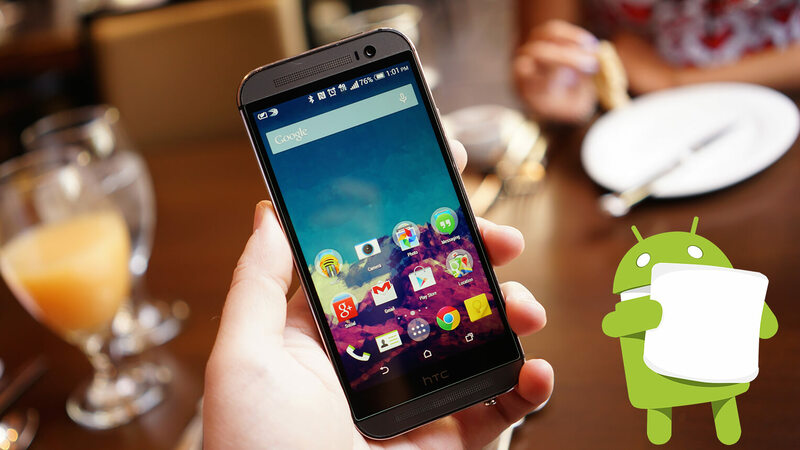 HTC has officially announced the list of devices that will get Android 6.0 Marshmallow update. The list included the company's latest flagship device One M9 and his older brother One M8 too along with some other devices. The HTC One M8 will get the new HTC Sense 7.0 UI for the first time with this Marshmallow 6.0 update after the Taiwanese company decided not to roll-out 5.1 for the M8. 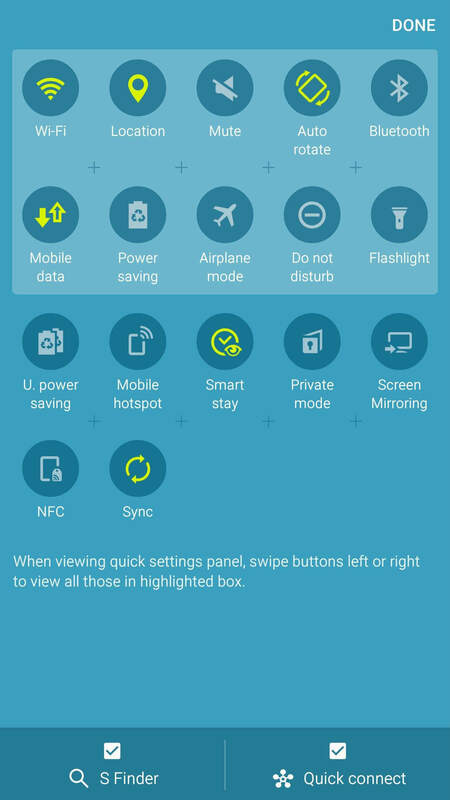 Now, got the first screenshots of the Sense 7.0 UI on the M8 running on top of Marshmallow 6.0 with all the new expected features. 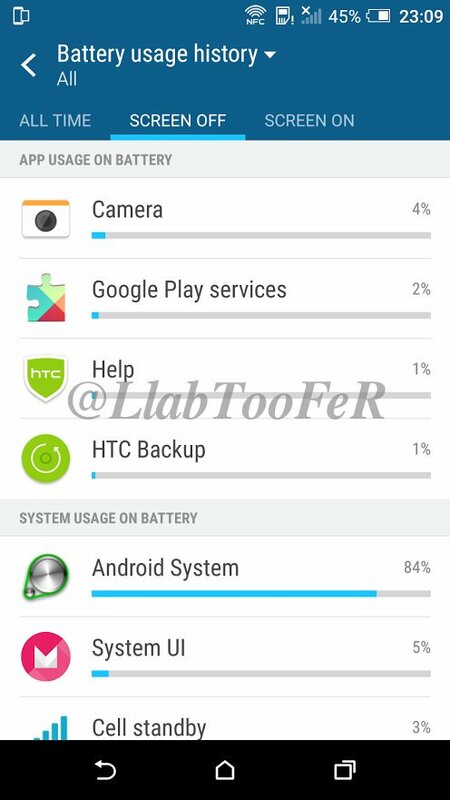 As you can see it looks very close to the latest HTC One A9's user interface which was the first HTC device to launch with android 6.0 Marshmallow pre-installed. 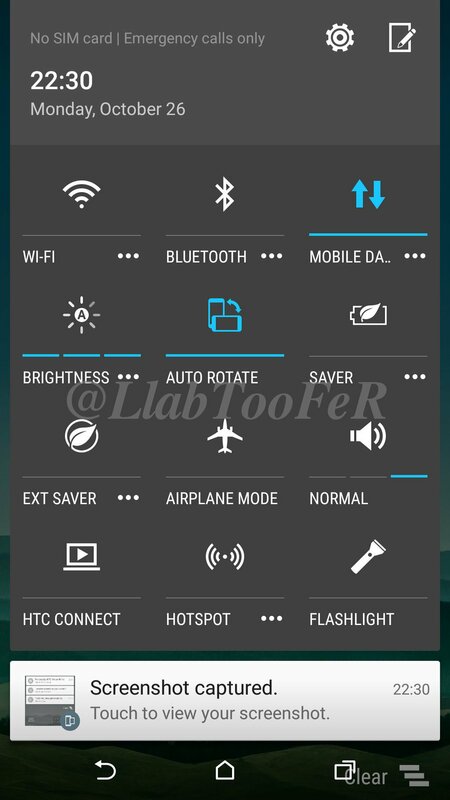 You will notice that the Sense 7.0 is getting flatter and more simple, new icons, new notification panel, updated themes app to support Sense 7.0 features, update system apps, updated home screen and widgets, updated settings menu, new lock screen, better battery management, better app permissions control along with lots of performance improvements and bug fixes. The One M8 and M8 Marshmallow 6.0 update is expected to start rolling-out by the end of this year. 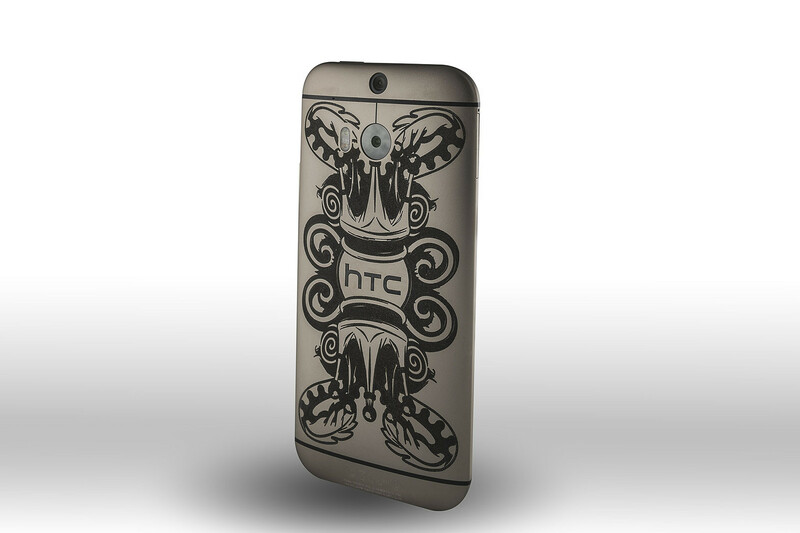 Stay tuned and follow HTC official updates page here. 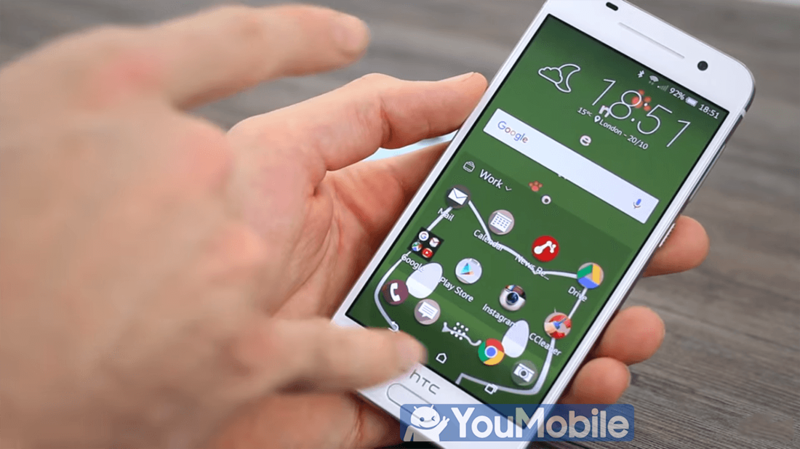 HTC is still working on its Lollipop update for its latest flagship device, HTC One M8. Today, we got the first Hands-on video on the Official Android 5.0.1 Lollipop Update for the One M8 with the improved Sense 6 UI. 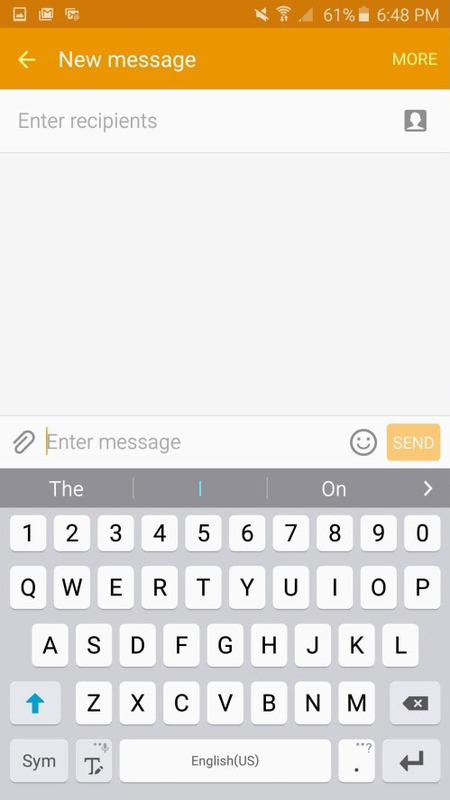 As screenshots of the update have shown before, not much will change once the update hits HTC users. However, it's nice to see how the latest version of Android runs on the One M8. Check it out in the video below. Additionally, the uploader of the video says that everything runs glitch-free and really fast. Battery life is also improved too. HTC sets a deadline for the update release by Next month February, 2015. 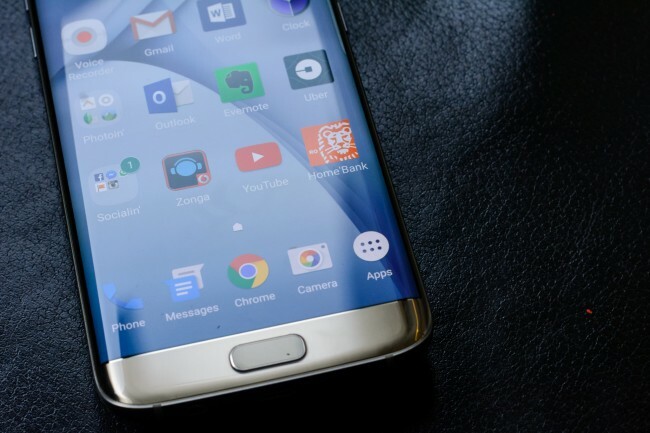 Will the Galaxy S7 Edge Look Almost the Same as the Galaxy S6 Edge? 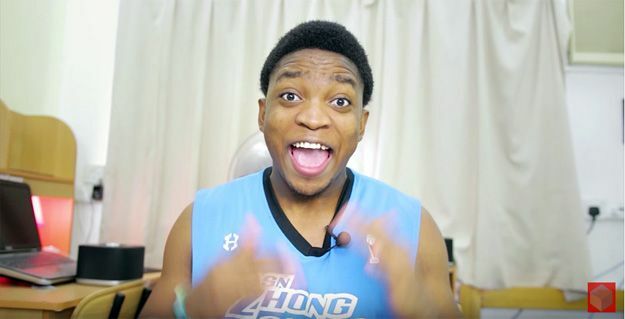 If the video above is any indication of what is to come from Samsung later in 2016, then yes! 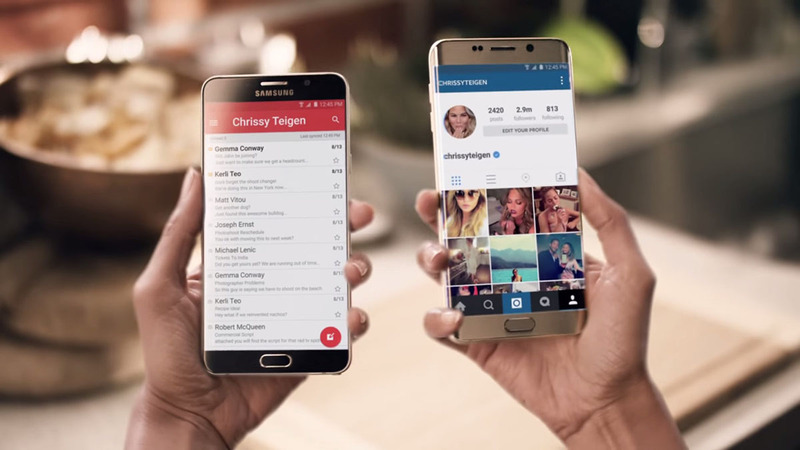 However the video is not an official teaser from Samsung, but a concept video from Jermaine Smit. Keep in mind though, that the experienced concept artist has tried to make it as realistic as he possibly could with the hard facts and floating rumors around the upcoming flagship. Unlike most other concept videos about popular upcoming phones, this one looks hyper real and one may even believe that it's official for a while. The similarity between the upcoming conceptual device and its current real-life counterpart are so striking with subtle differences, that it almost fools even the most gadget-savvy eyes. 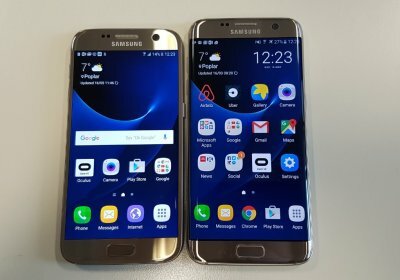 The subtle changes that do differentiate the hypothetical galaxy S7 Edge from the actual Galaxy S6 Edge includes a USB Type-C port, a more rectangular home button and a big sensor/camera module on the top left side of the phone. The excellent quality of his work made us check out his profile on Behance and if you want to look at a few of the Dutch artist's other videos on popular upcoming smartphones, you can take a look as well. 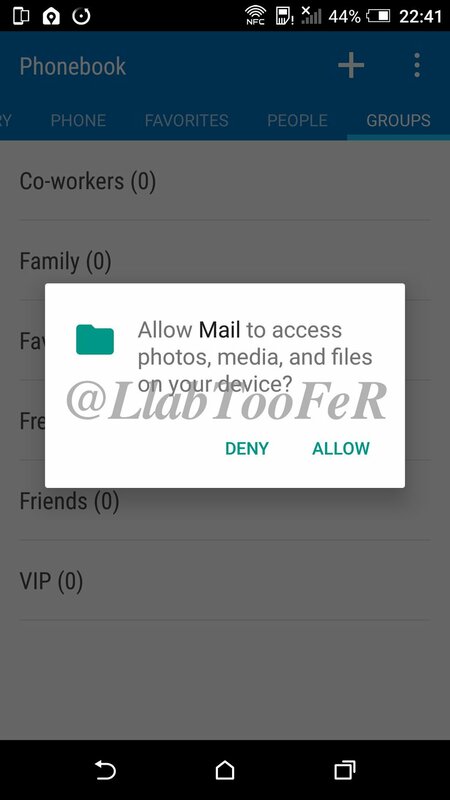 Tags: first look xiaomi mix [photo] take first look samsung galaxy active exclusive screenshots photos take look samsung's new touchwiz edge+ note5 android screenshots change-log closer look google exclusive video first look htc's android 6.0 marshmallow sense 7.0 user interface official ota firmware update download screenshots first look upcoming htc one marshmallow 6.0 with sense 7.0 first look htc one phunk design limited edition photos first look htc one running official android 5.0.1 lollipop update with sense video galaxy edge look almost same edge? After looking at a number of leaked photos and renders, we now know for sure (more or less anyway!) that the upcoming Samsung Galaxy Note 7 will sport a USB Type-C cable and it will be the first Samsung device to do so. Thanks to Tinh tế, we now have a video that possibly is showing us the USB Type-C cable which will accompany the Note 7. The model number of the cable as seen in the video is EP-DN930CWE. 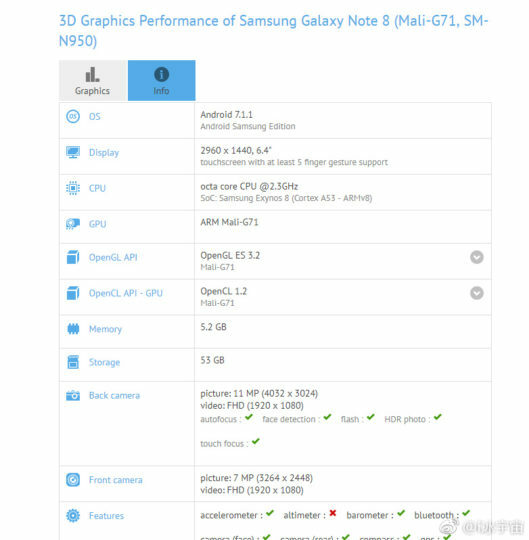 As we are almost certain that the Note 7 will be codenamed SM-N930, this further reinforces the theory. 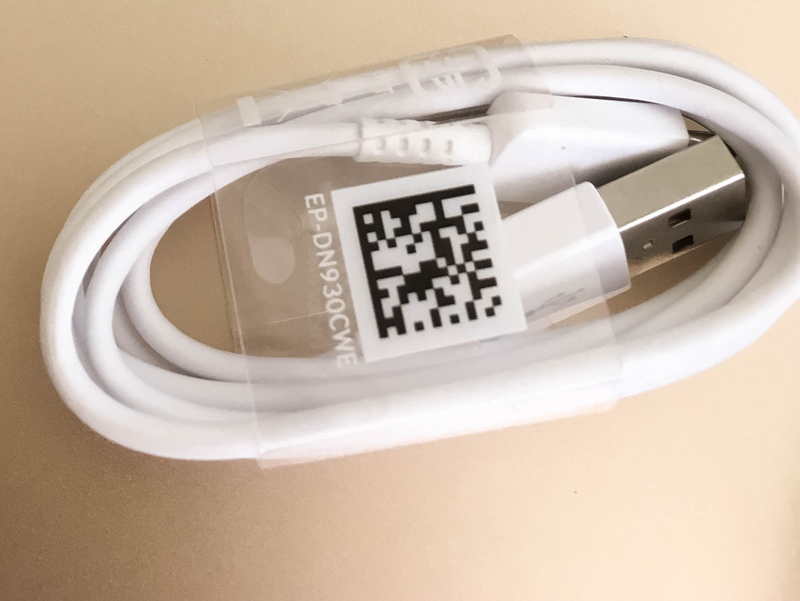 Besides, anyone who is familiar with how Samsung packages its accessories will find the packaging of the USB Type-C cable to be very familiar. Take a look yourself and you will see what we mean. The most popular rumor related to Samsung's decision of switching over to USB Type-C from the regular micro-USB is of course the upcoming second gen Gear VR. 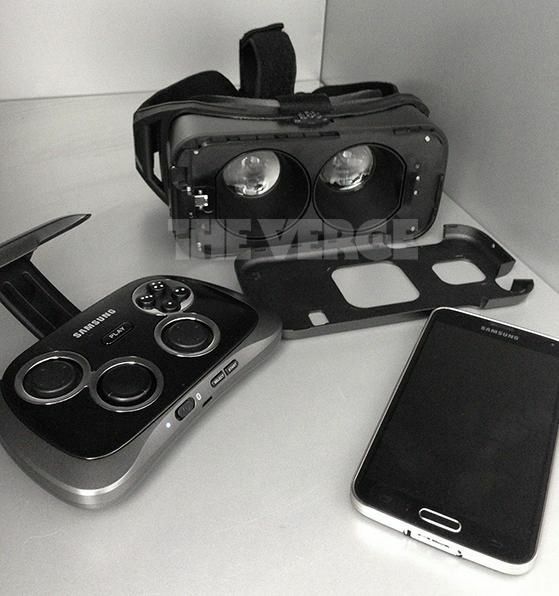 Samsung will probably launch the next Gear VR with an USB Type-C port in close proximity to the Galaxy Note 7's unveiling. We will found out more as we approach the month of August. Now that the time for rumors is over, it's time to take our first official look at the Samsung Galaxy Note 7. Let us tell you first up that the rumors and leaks were not exactly spot on as two major predictions were proven wrong post the unveiling. Firstly, the Galaxy Note 7 does not feature a Qualcomm Snapdragon 821/Exynos 8893 SoC, but sports the same Snapdragon 820 SoC/Exynos 8890 SoC as the S7 series. Secondly, it has only 4GB of RAM and there is no 6GB variant at the moment. We were disappointed and surprised to see this as almost every major leak suggested the two missing hardware specs would be there in the final version. 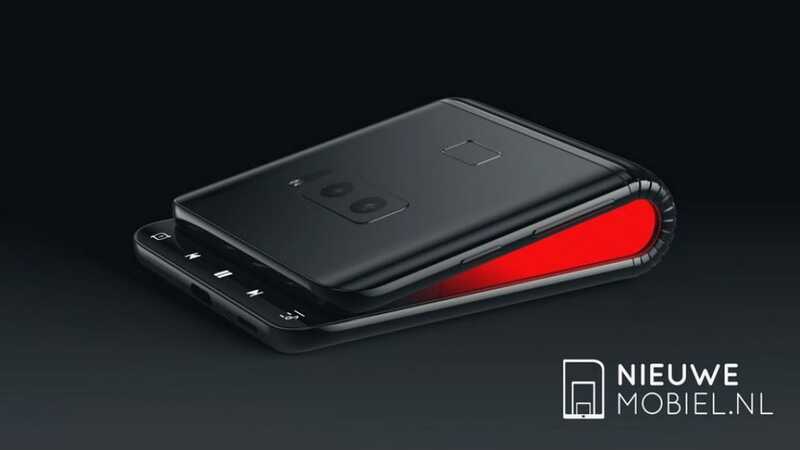 Most of the other predictions did turn out to be true though, as the unique iris scanner is present and works in sync with Samsung Pay and KNOX to add an extra layer of security to everything. It's really fast, although you may have to hold the phone uncomfortably close to your face while using it. The S-Pen with 4096 pressure sensitivity levels works underwater this time around and the display is indeed a Dual Edge 1440p Super AMOLED panel with Edge features and Gorilla Glass 5 protection, as expected. Although the base Android version is Android Marshmallow and not Nougat like some leaks predicted, it supports the Vulkan API, which is amazing for in-game graphics. In fact, you even get games with "console quality" graphics that's worth $25, free with your purchase. Speaking of purchase, it will be available for purchase from August 19, but pre-orders will begin tomorrow. Stay tuned for more news on the Samsung Galaxy Note 7. 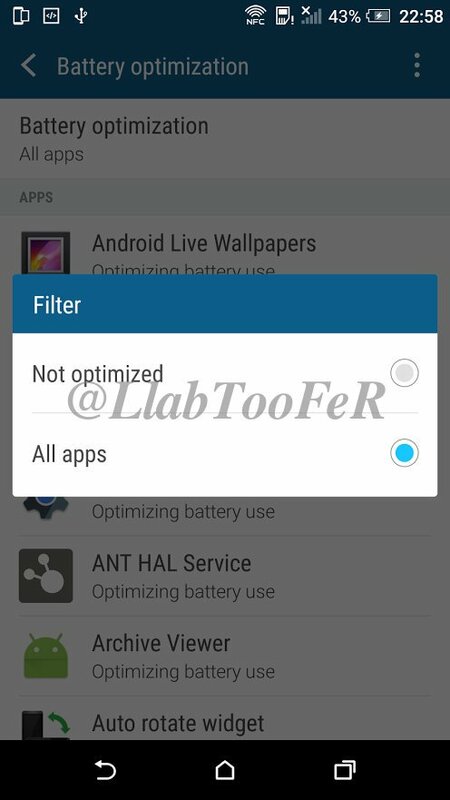 We already had a look at Samsung's upcoming Lollipop ROM that packs a New version for TouchWiz UI with a themes App that can change the color, wallpaper, icons and style of the whole User interface. 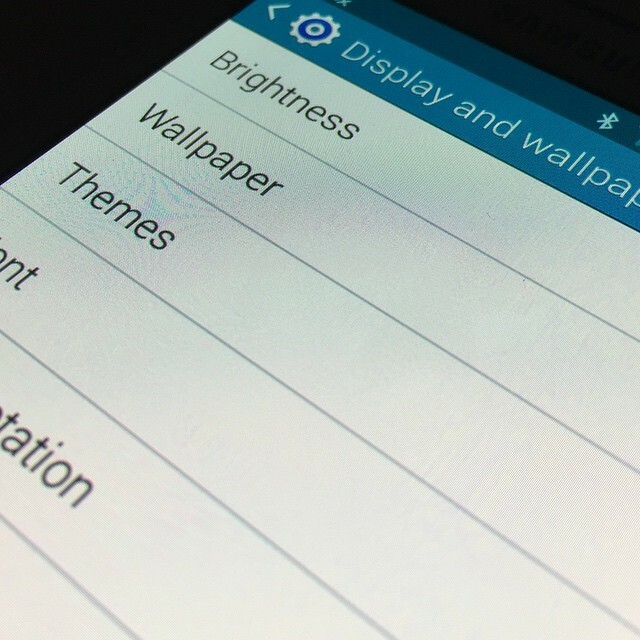 Today, we get even a closer look with more leaked screenshots of the TouchWiz Themes App. Themes allow users to change the appearance of the UI background, wallpaper, icons, ringtones, fonts and colors and are nothing new really. Sony has had a great theme engine for some time now and so do lots of makers. It's good to see Samsung hop on board as well. The images show the new Themes option in the homescreen edit section along with a settings menu entry and the themes pictured in better detail. 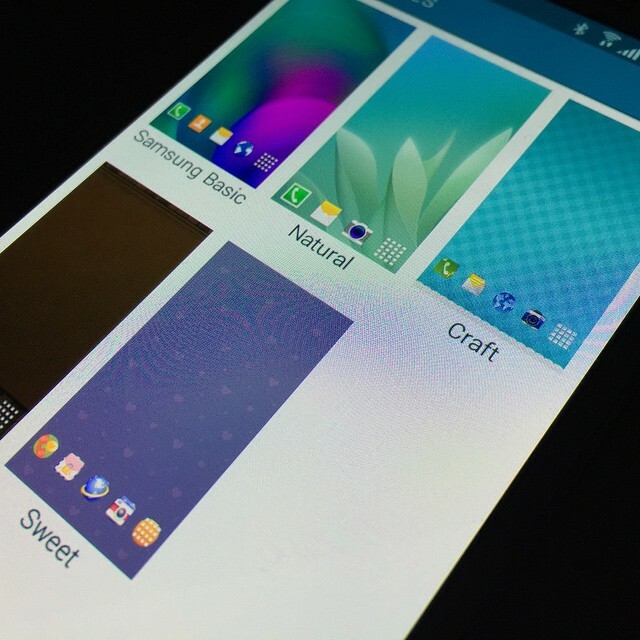 The leak features the Samsung basic, the Natural, Craft, one we can't see and Sweet. 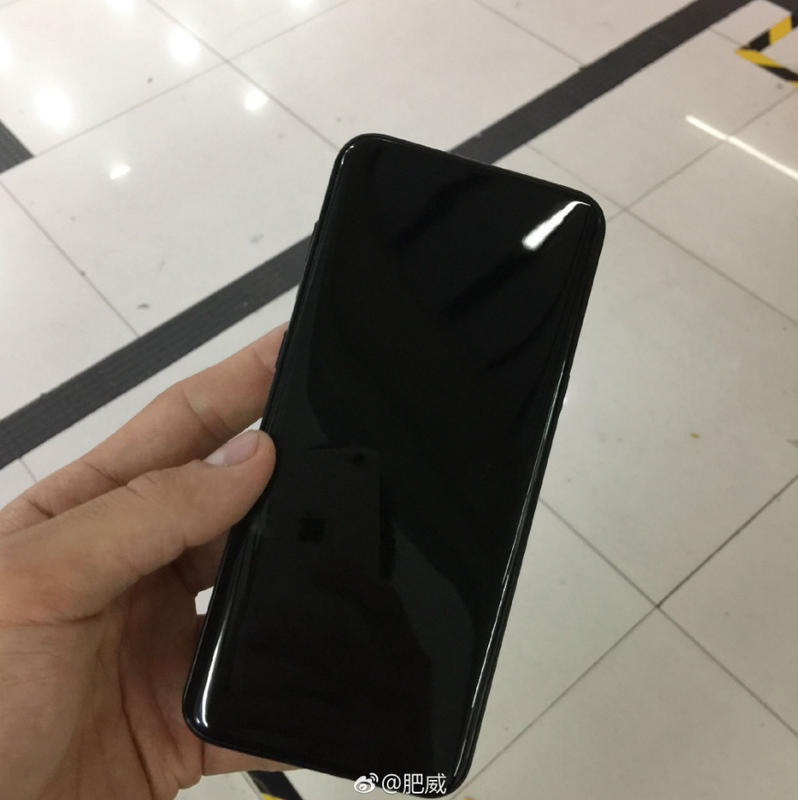 In a matter of weeks, multiple leaks claiming to show the Galaxy S8 or the Galaxy S8 Plus have surfaced on the internet. 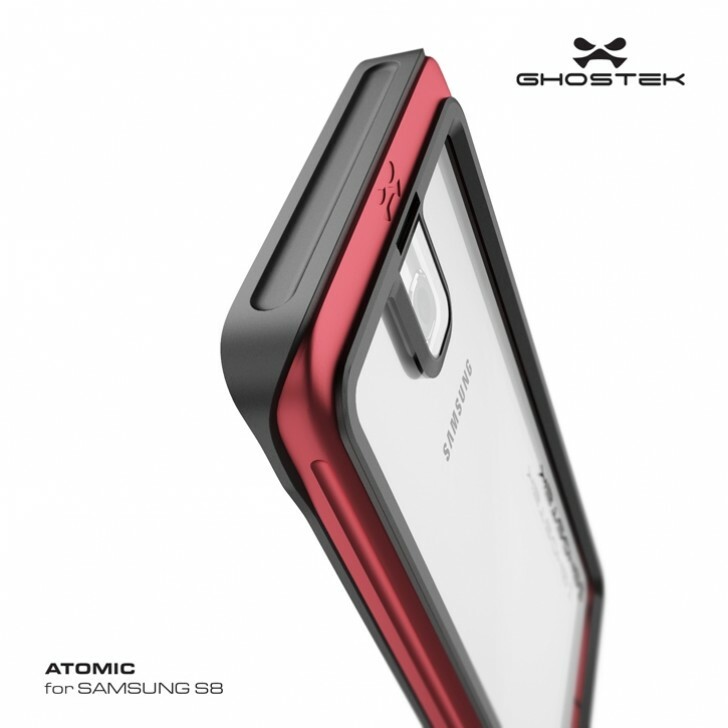 Some of them are renders posted by leaksters on social media, while others are images published by case makers that clearly show us the external design of the two phones, in addition to leaking their exact dimensions. In fact, Samsung themselves showed us a smartphone in their recent Super AMOLED ads, which could very well be the S8 itself. 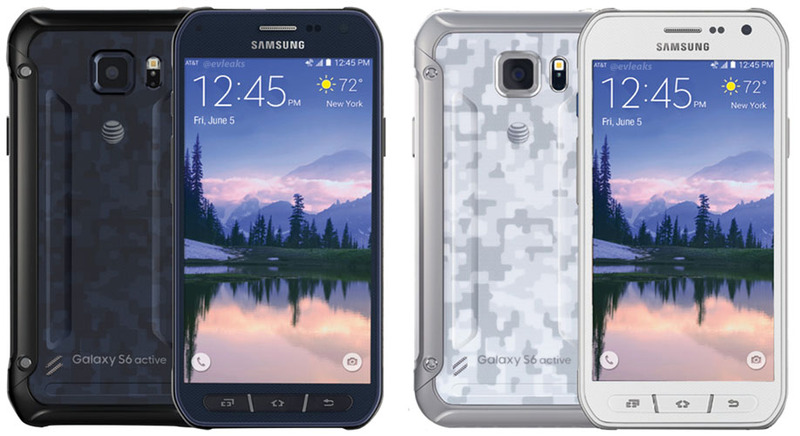 However, none of them showed us how the bigger Galaxy S8 Plus would look from the rear; that is until now. Given the wideness of the camera hole in the render above, the S8 Plus will probably sport a dual camera setup after all. 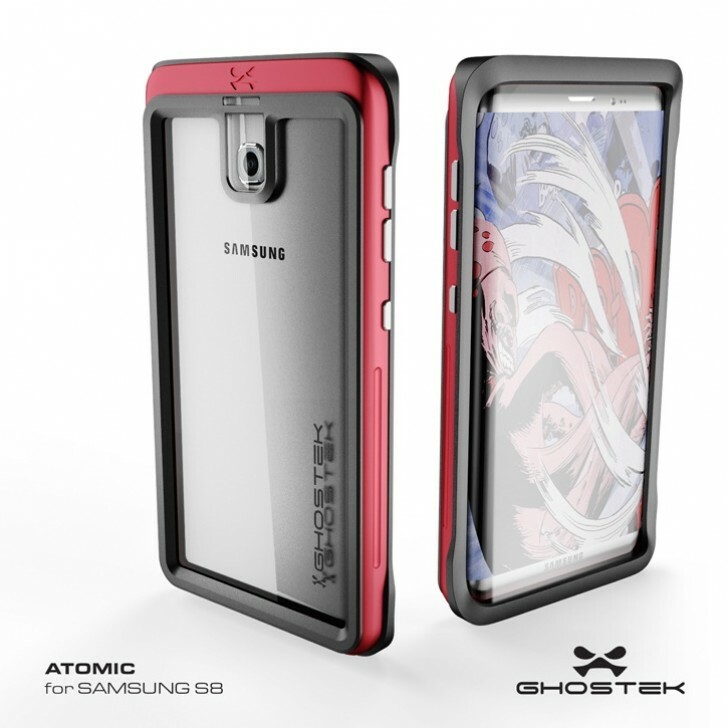 Note that this suspicion gains further ground after considering the fact that the single camera hole on the back of the regular Galaxy S8'case seems about half of that. 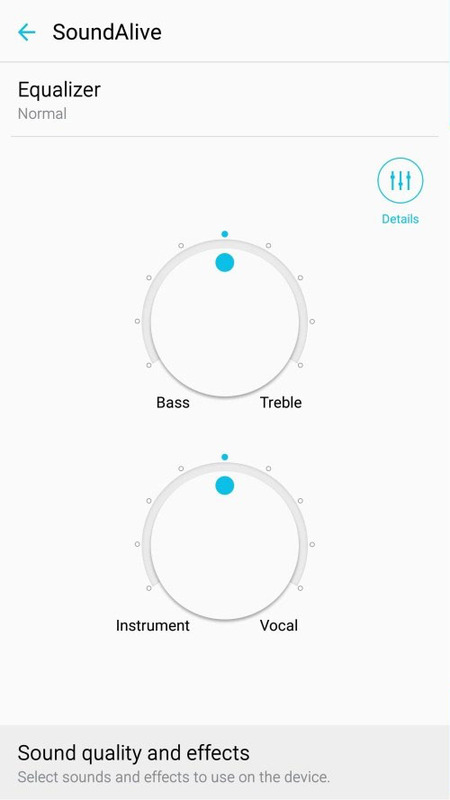 There is also an additional button on the left, which will presumably be used to activate Samsung's digital AI assistant, Bixby. 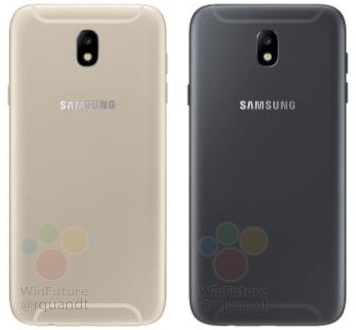 Contrary to what previous case renders had shown us, this one is suggesting that both the volume buttons and the power button will retain their positions on the right side of the phone. 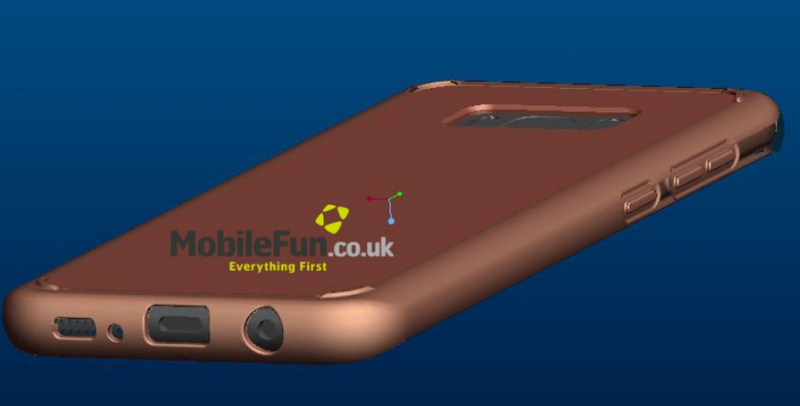 Much to our delight, the render shows the 3.5mm audio jack being retained. 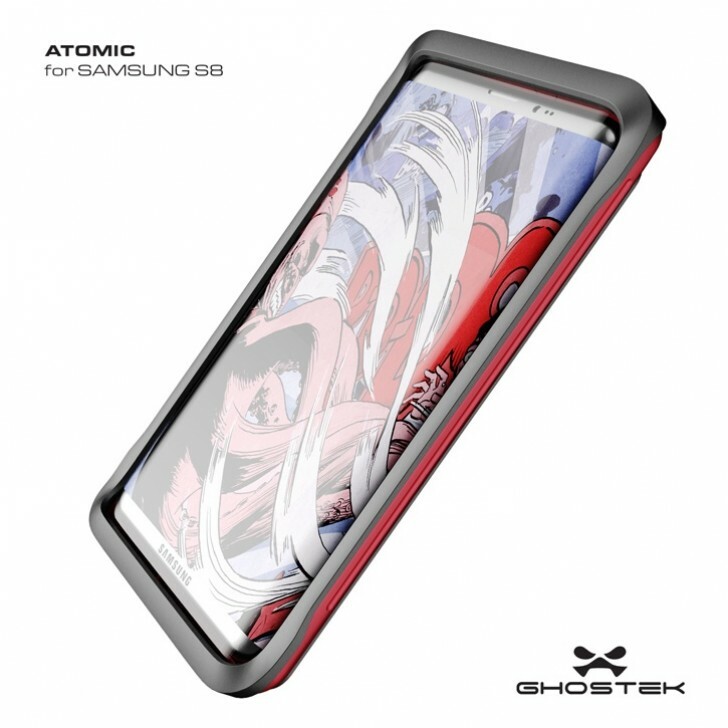 A single speaker grill can be seen at the bottom right, although other renders have shown that the regular S8 will be sporting dual speakers placed on the top and the bottom. Take this "leaked" render as well as all the others going around the internet with a healthy pinch of salt, because they are in most cases, based on rumors, unconfirmed facts and imagination. 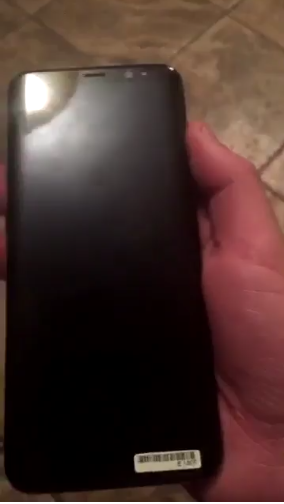 There have been leaked videos previously and they did give us our first look at the S8 and S8+ previously, but this one is arguably the best one yet. The video from 505nick (Instagram) can be found on Benjamin Geshkin's Twitter account here. Take a look at the short 5 second video to know what we are talking about first. 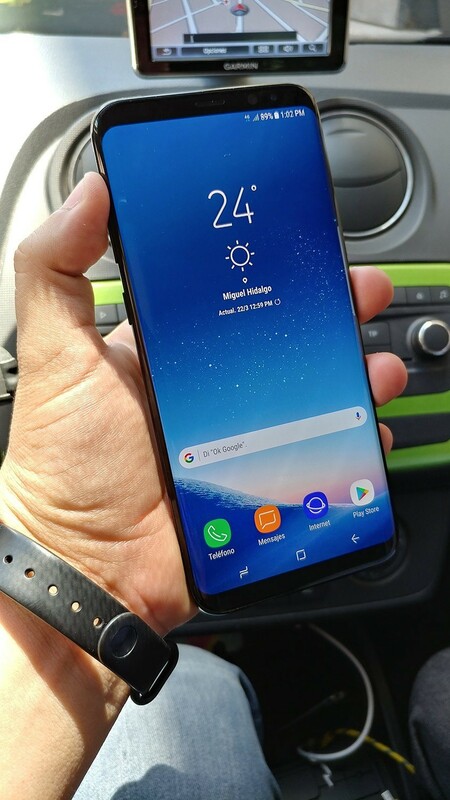 To my own personal delight, the S8 we are seeing here is most probably the Black Pearl variant, which debuted last year with the 128GB Galaxy S7 Edge in selected regions. Many users found this color to be the best of the lot and arguably even better than the Blue Coral variant. Take a look at how the curved display seamlessly integrates itself with the rest of the phone and you will know what I am talking about here. The color clearly adds new dimension to the borderless design of the S8 and S8+. 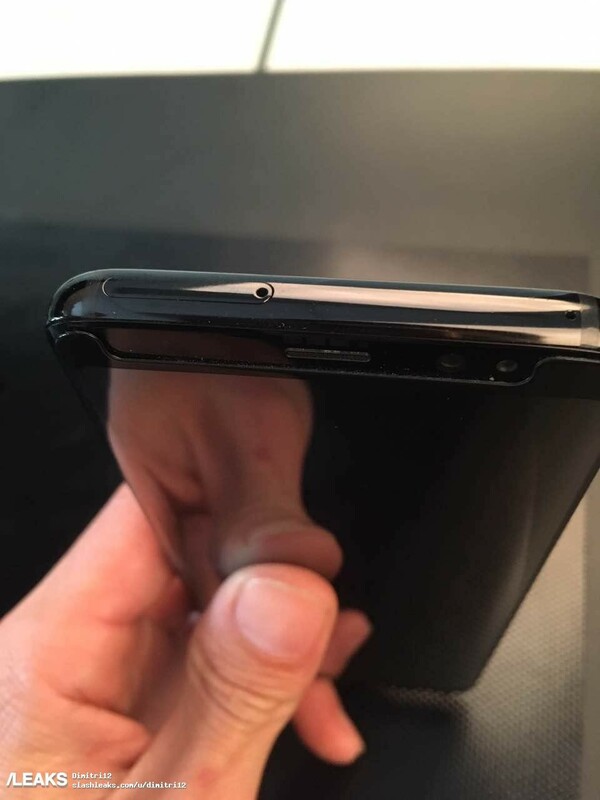 Other than the color and the display, we also get to see the single rear camera sensor, the rear mounted fingerprint scanner, the flash and a piece of paper with some details under a cautionary headline in bold and caps, announcing the fact that this is indeed, "CONFIDENTIAL." 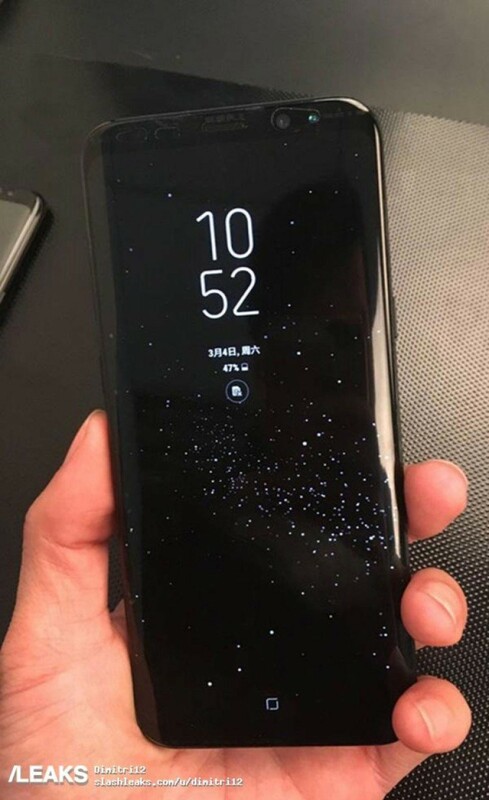 If you just took a look at the fake Galaxy S8 smartphones which have recently started selling online, then rest assured that this is not what you are seeing here. This leak is brought to you by SlashLeaks and from the looks of it, this is the real deal. The photos are high resolution and give us a clear look at both the S8 and the S8+, leaving nothing to the imagination for the official March 29 unboxng event. On the front, the virtual Home button can be seen in the middle, which is now a part of the Always On display it seems. 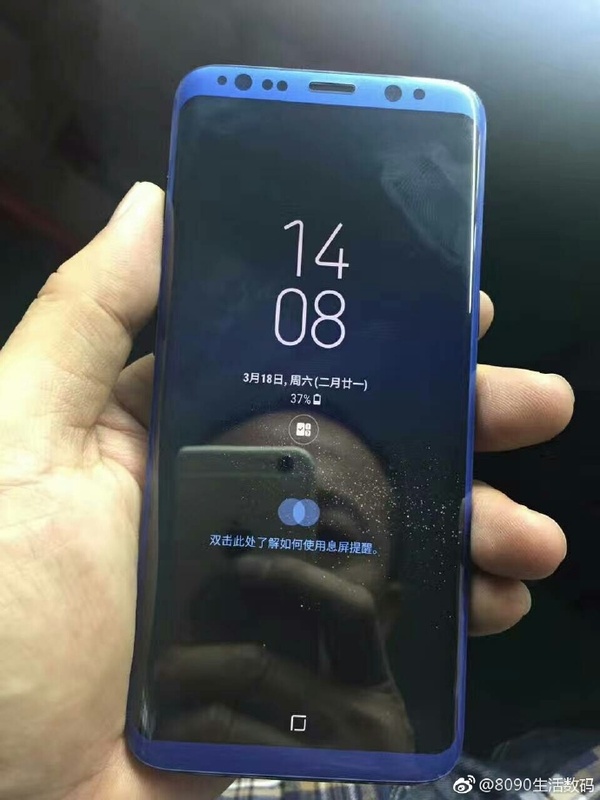 On the upper bezel, there's the iris scanner, the front camera, the LED notifications light, the ambient light sensor, the earpiece and a few other sensors as well. The Black Pearl color which is what we are seeing here seamlessly blends the curved display with the thin bezels making it look even more beautiful. 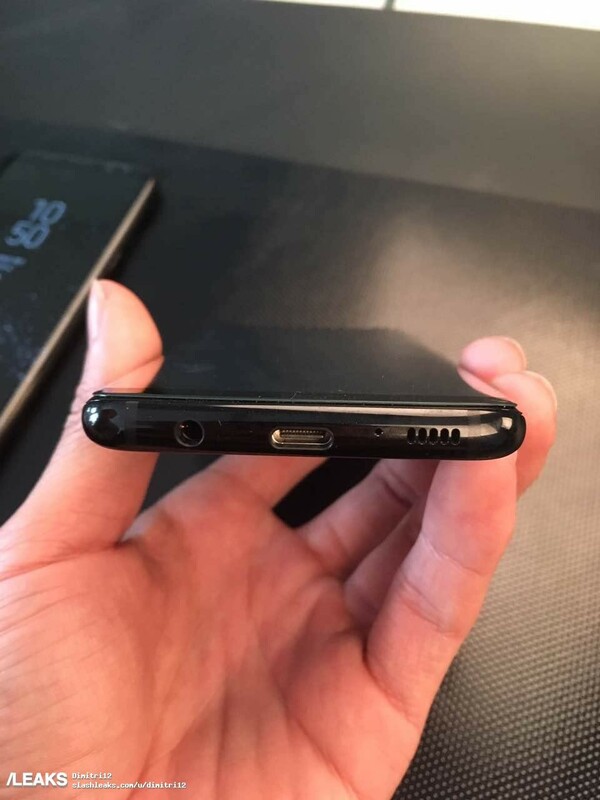 At the bottom we get to look at the USB Type-C port, the 3.5mm jack and a speaker grill. On the top, there is of course the SIM tray and a secondary microphone. In my personal opinion, the S8 looks slightly more scrumptious this year. What do you think? The launch might still be 12 days away, but we already have had a pretty comprehensive look at the Galaxy S8 in all its glory. 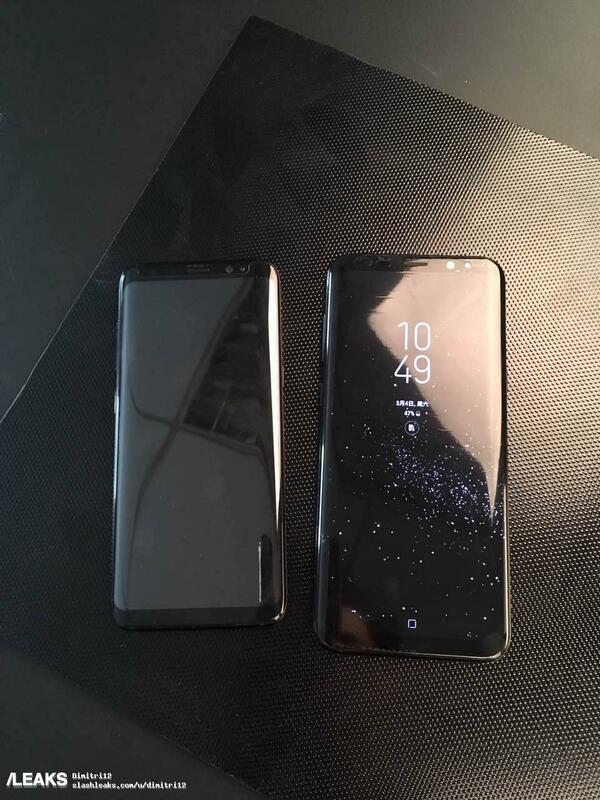 Today, we get to look at the S8 once again in black, courtesy of a Chinese source on Weibo. However, there isn't much we can tell you that we haven't told you already. The borderless display blends in seamlessly with the almost non-existent black bezels, making us believe that this is probably going to be the best color for the S8 and the S8+. 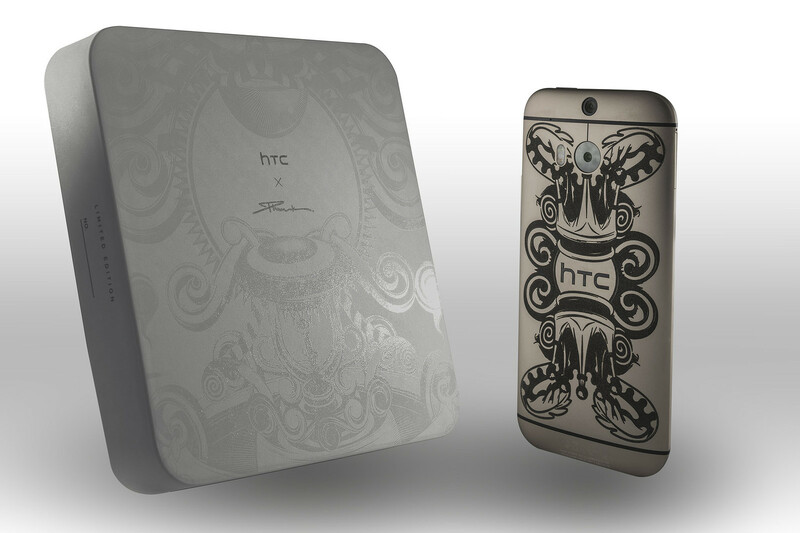 On the back, we can see the fingerprint scanner, the heart rate sensor, the camera module and the flash. 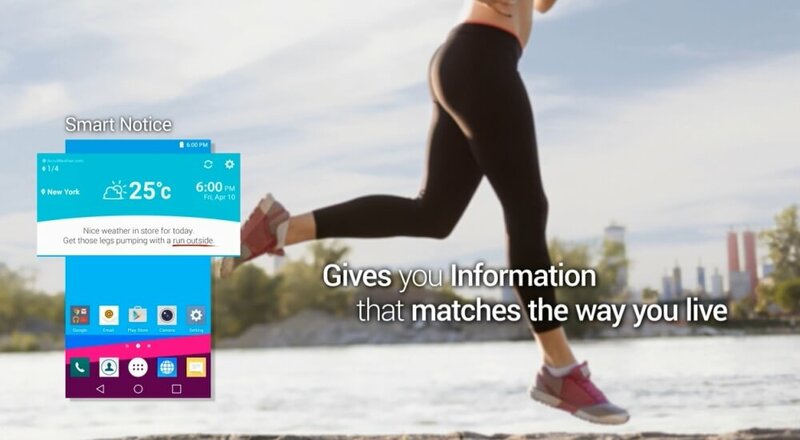 The Samsung logo can be seen sitting at the back, below all the sensors. The only thing is that we did not see the Always On virtual Home button in these pics, which leads us to believe that the phone was switched off while being clicked. What do you think? Do you see anything that we missed? Let us know in the comments. After months of rumors, reports and speculations, the day is finally here (almost!). The Galaxy S8 and S8+ are going to be unveiled officially tomorrow and as we stand just a few hours from that moment, let's take a look at what we know about the two devices up until this point. 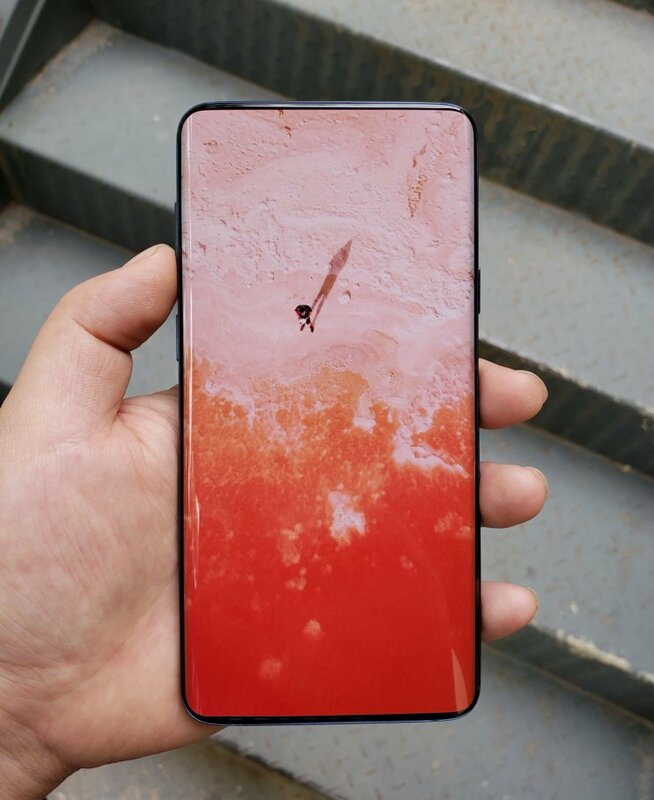 USB Type-C, 3.5mm audio jack, Water resistance, Bixby AI digital assistant, iris scanner, face recognition technology, fingerprint scanner, Always On capacitive Home Button. We admit that these specs, along with all the leaked images and videos do not leave much for the imagination, but then again, they are only rumors. We will know what's what in just a day's time though. Samsung is still sure to have a few surprises in store for us; We only hope that they are good ones! We know the specifications which the Galaxy Note 8 will be sporting this year, or at least most of it anyway. Nevertheless, until and unless we see it all officially on August 23, everything is still just rumors and leaks. Today's leak is brought to us by GFXBench after the Note 8 went on the website for a spin. Check them out in the screenshot above. The 6GB of RAM, Exynos 8895 SoC, Mali-G71 GPU, 64GB internal storage, dual rear cameras, etc. sits in perfectly with what we had heard and seen so far. 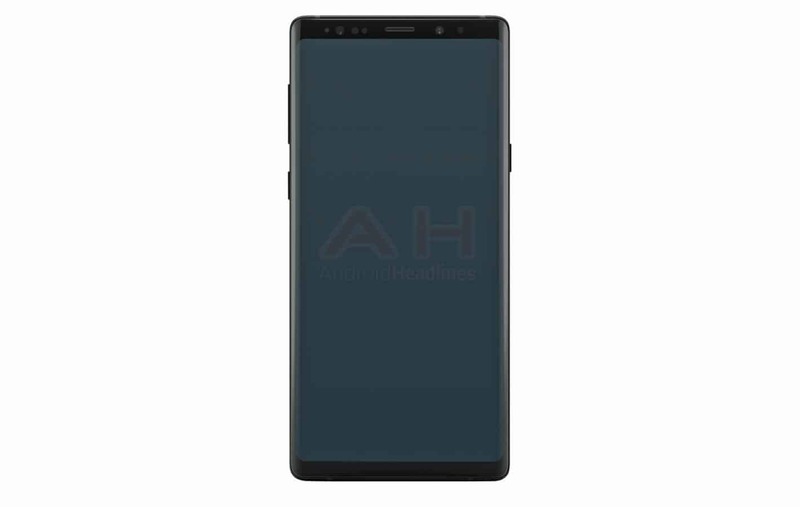 However, it was surprising to see that the Note 8 will be sporting a 6.4-inch Super AMOLED QHD+ display instead of the rumored 6.3-inch one. The difference is almost negligible, but it's worth noting nonetheless. Rumor has it that a new version of the Gear Fit Pro (2) will also be revealed at the NYC exclusive event on the 23rd, but not much else is known about it, including the likely price of the fitness band. On the other hand, a lot of people are waiting impatiently to see how high Samsung prices the Galaxy Note 8, which is expected to be as high as $1200 or more. 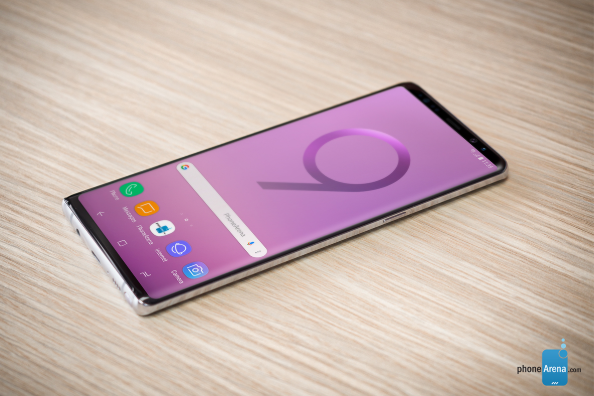 While the Galaxy S9 and S9+ are still more than a month away from being revealed at the Mobile World Congress in Barcelona next month, it must be admitted that by this time last year, we were already seeing a lot of leaked S8/S8+ images. 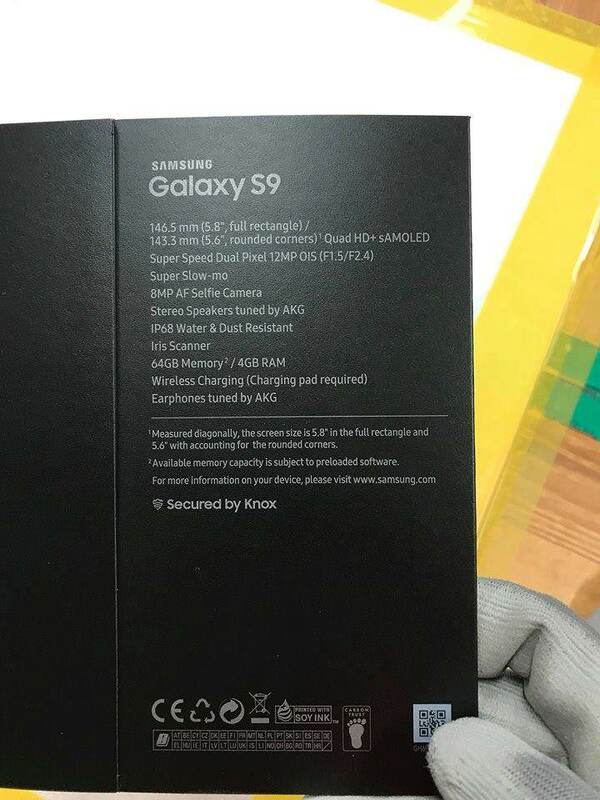 Nevertheless, we have the second best thing for you and that's... err... a leaked image of the official Galaxy S9 box. It may sound a little disappointing at first, but the image does reveal some interesting and exciting new details. Aside from confirming some of the previously rumored details, the highlight of this leak are the camera details, which are as follows. 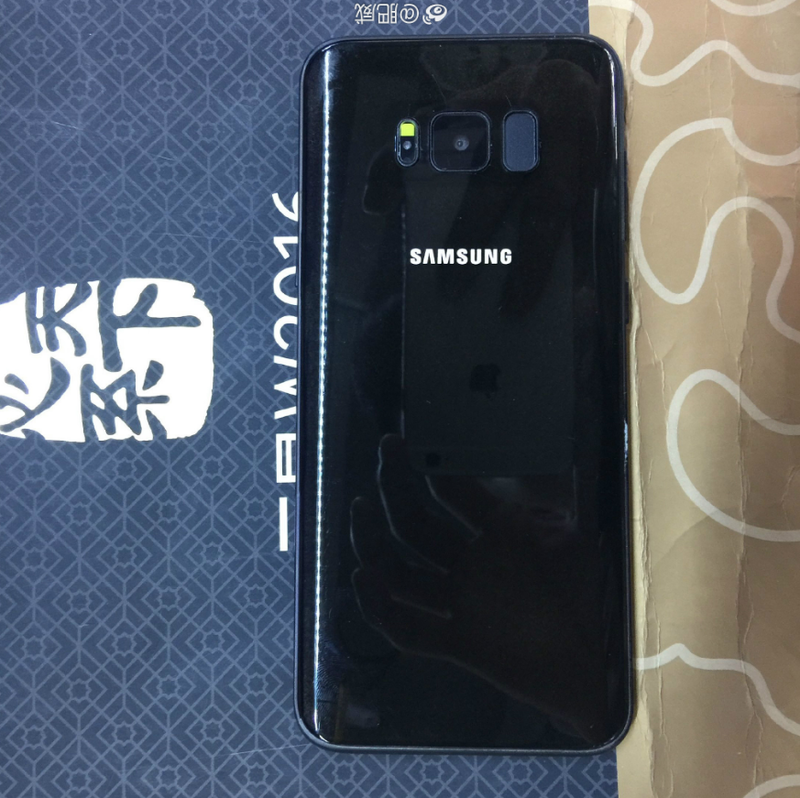 Personally, I really hope this leak is true because of a different reason; if this is indeed an authentic image of the upcoming Galaxy S9's box, then it means that Samsung has not taken the Apple route and both the S9 and the S9+ will have the same set of dual cameras. 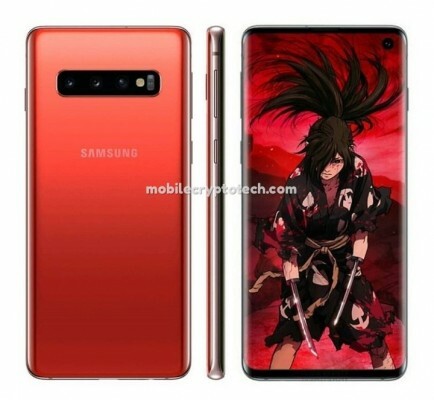 By now we have all had our fair share of look at the Galaxy Note 9 or identical replicas anyway. Even then, nothing is confirmed until the official release and that's what makes every leak interesting till then. On that note, we have another one for you today! 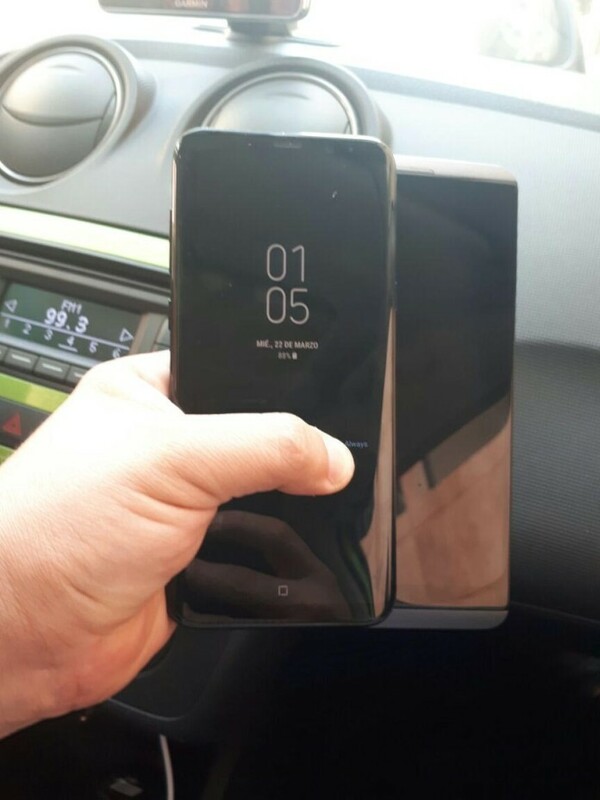 After seeing the image above, we are sure that you have probably noticed that it looks remarkably similar to the Galaxy Note 8, which is not surprising at all, given that's exactly what everyone expects the Note 9 to look like. Nevertheless, what you are seeing here is probably the real deal as Android Headlines strongly stated that their source is as authentic as it can be at this point. We don't see anything too significant though to be honest. 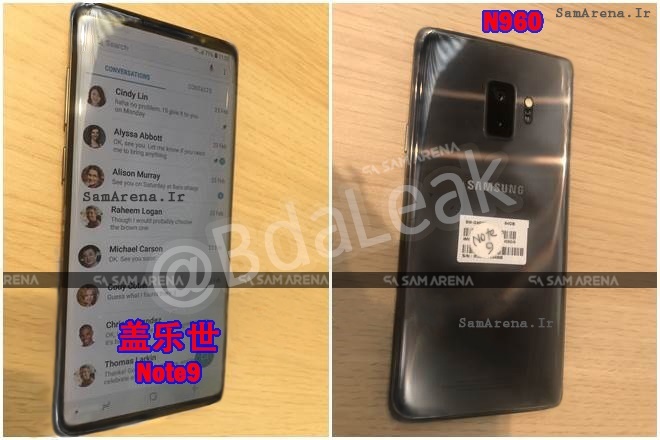 Sure, the corners are probably a bit rounder and the bottom bezel might be a bit smaller, but it does look almost identical to the Galaxy Note 8. 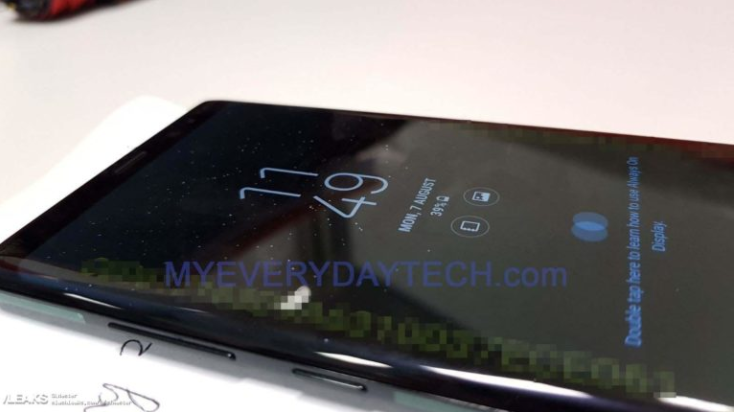 Even the front sensors seem to be in the exact same spots as on the Note 8 from 2017. Do let us know if you see any changes we missed. 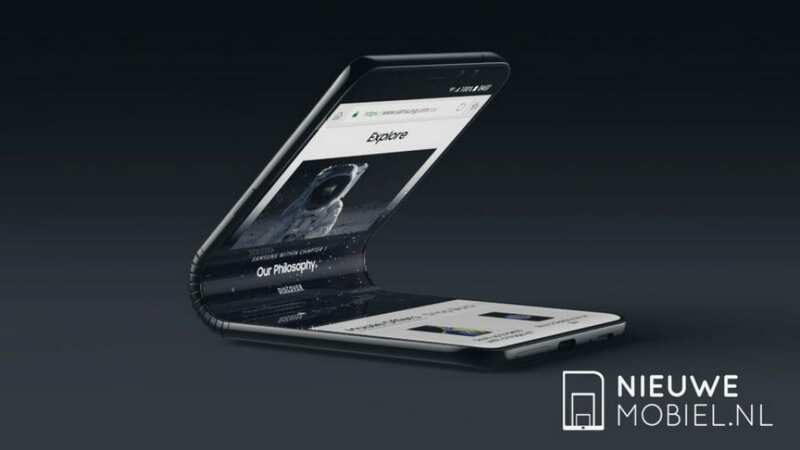 If you have been following the smartphone news for the last few years, then you probably already know that a Samsung foldable smartphone has been in development for years now. 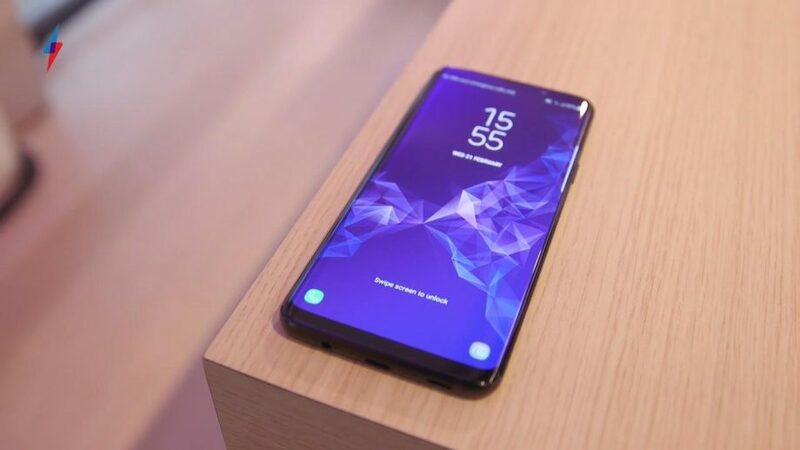 However, after years of false rumors and promises, it looks like 2019 is finally going to be the year in which the elusive device from Samsung will at last be launched. The latest rumor suggests that the smartphone will be unveiled at the CES 2019 and we have some images that might just catch your attention because they do look gorgeous. 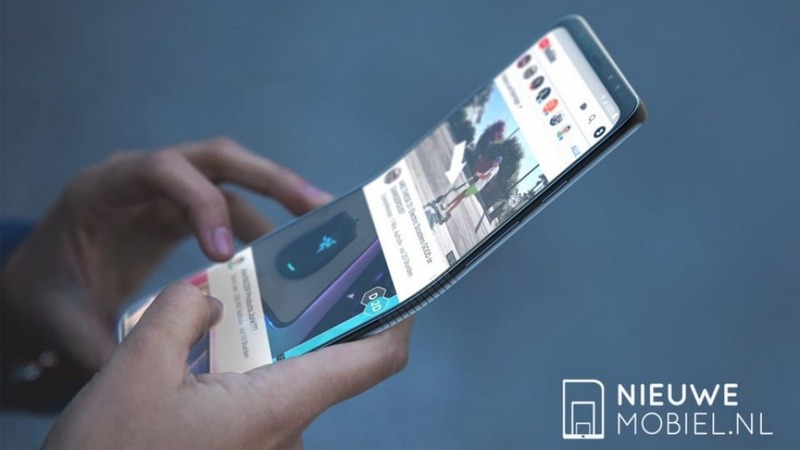 As per the latest images and rumors, the Galaxy X could also be called Galaxy F, aka Foldable. 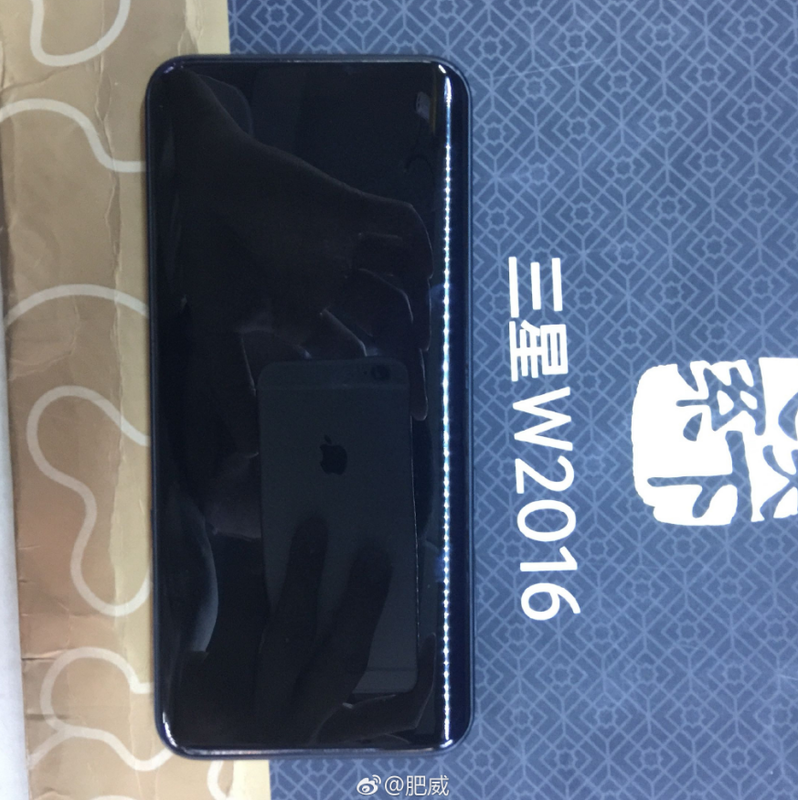 While the denomination is unimportant, what is more important is the fact that the smartphone seems to be in-line with previous rumors that suggested it would resemble a wallet when folded. 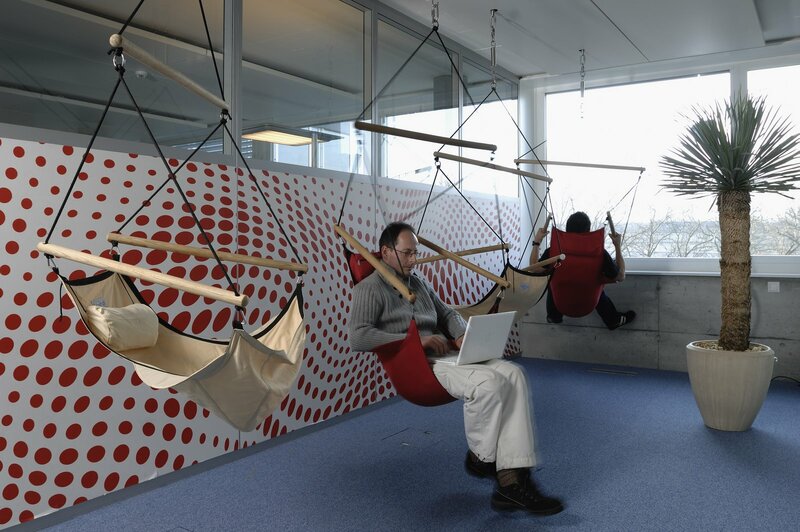 In-between the completely folded in and the completely folded out positions, there is even a third intermediary position. Whether these renders hold any credence to them or not is something that we will just have to wait a few more months to find out. 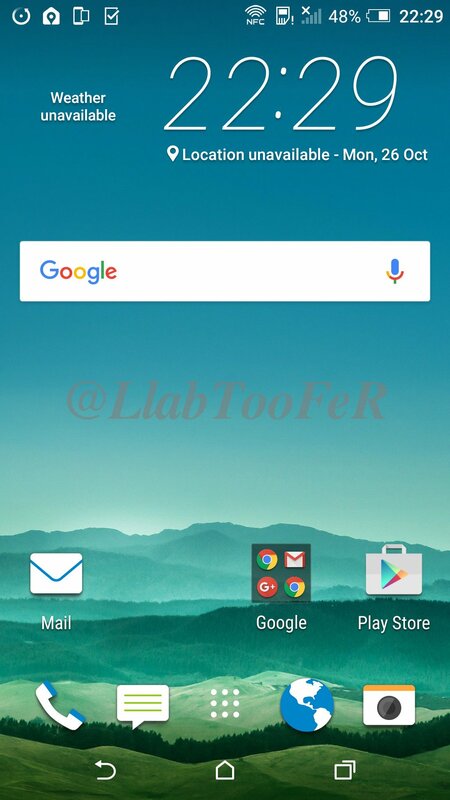 Tags: first look xiaomi mix [photo] take first look samsung galaxy active exclusive screenshots photos take look samsung's new touchwiz edge+ note5 android screenshots change-log closer look google exclusive video first look htc's android 6.0 marshmallow sense 7.0 user interface official ota firmware update download screenshots first look upcoming htc one marshmallow 6.0 with sense 7.0 first look htc one phunk design limited edition photos first look htc one running official android 5.0.1 lollipop update with sense video galaxy edge look almost same edge? first look what could possibly usb type – cable note samsung galaxy note first look closer look samsung's touchwiz themes lollipop android update photos another case leak out give better idea about how galaxy might look look galaxy plus back this best look galaxy yet thanks benjamin geshkin better look actual galaxy plus let’s take another look black galaxy first look galaxy s8+ camera interface high resolution galaxy s8+ official tomorrow: final look before unveiling look galaxy 2017 2017: leaked images rumors take look these leaked galaxy note specs this what galaxy s9+ possibly look like out first look official galaxy box let’s take look some fake galaxy note images this what galaxy note look like take look this amazing galaxy s10 concept another look galaxy note this how samsung foldable smartphone probably look galaxy s10 look same s9? 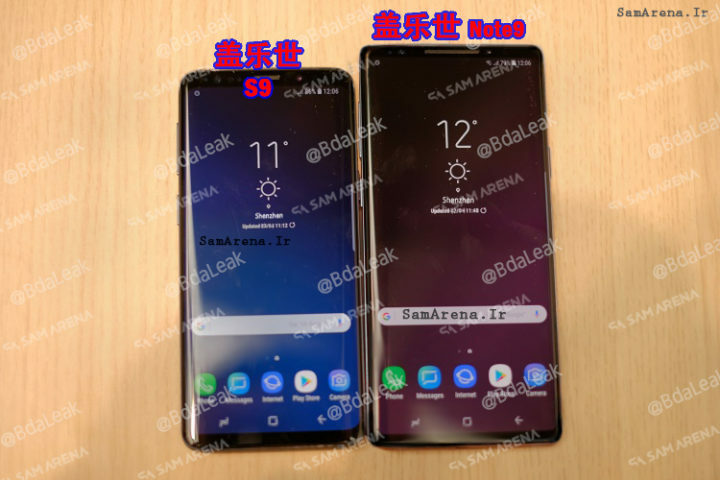 The Galaxy S10 will be launched in just a few weeks' time, but Samsung has been exceptionally successful this year in keeping the live leaks to a minimum. 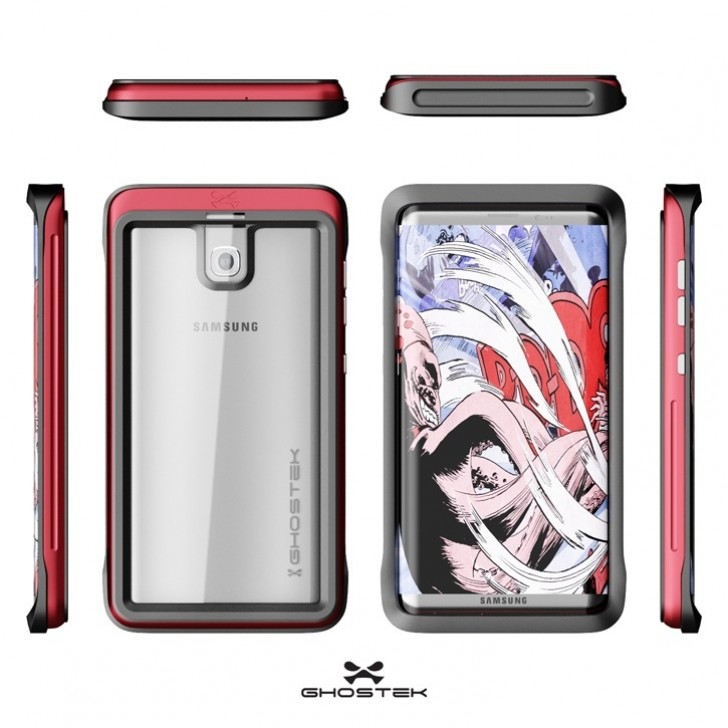 Still, not that much has been left to imagination as we have seen a a plethora of renders, casemakers' models and even a few live images and videos of the upcoming Galaxy S10 series of smartphones. 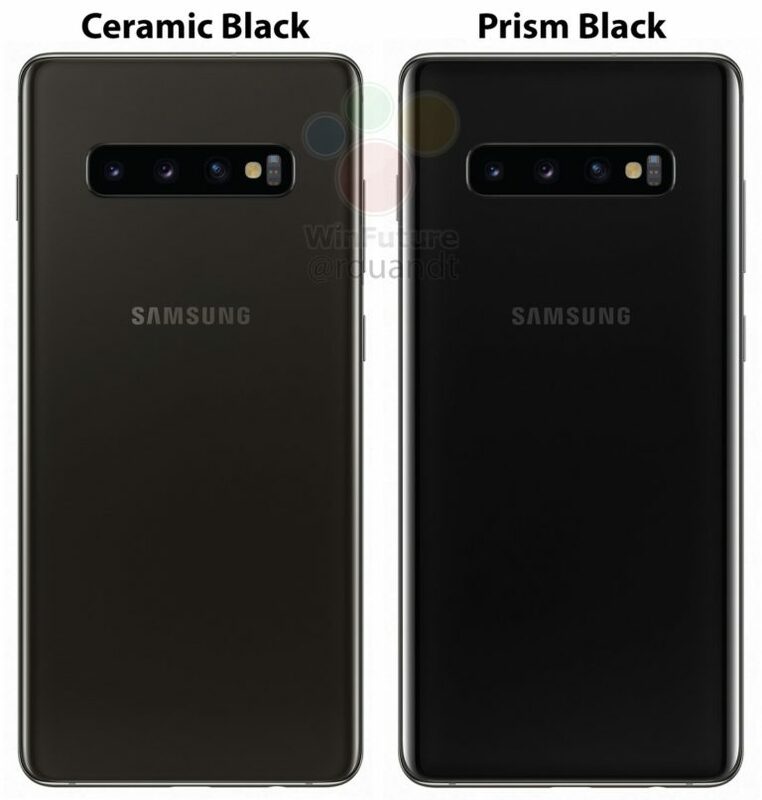 Recently, the color options have also been made pretty clear with black, blue, yellow and red being on the list of possible colors in which the S10 smartphone will be seen. Today we have some of the most convincing among those renders for you, so that you can decide which color to go for when the phone goes on sale next month. Enjoy and let us know which one you like the most in the comments. Personally, I think the yellow looks pretty bad and the most unrealistic, while the blue does look gorgeous. 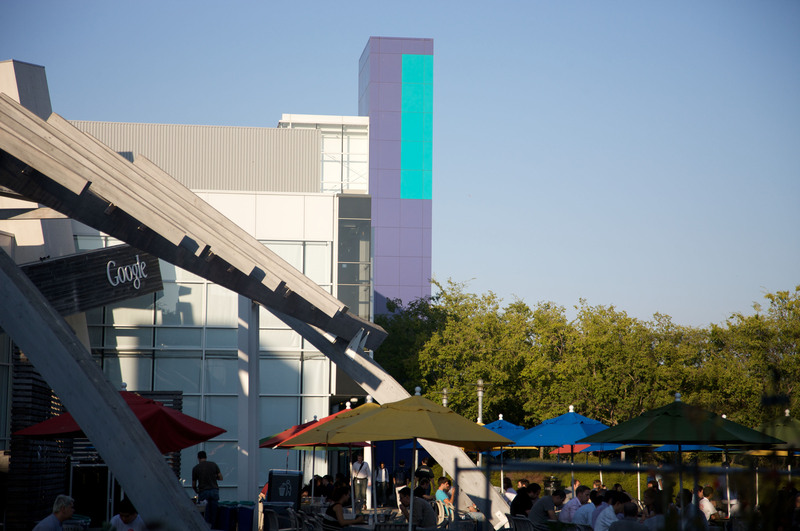 Googleplex is the corporate headquarters complex of Google Inc. which is located at 1600 Amphitheatre Parkway in Mountain View, Santa Clara County, California, United States. 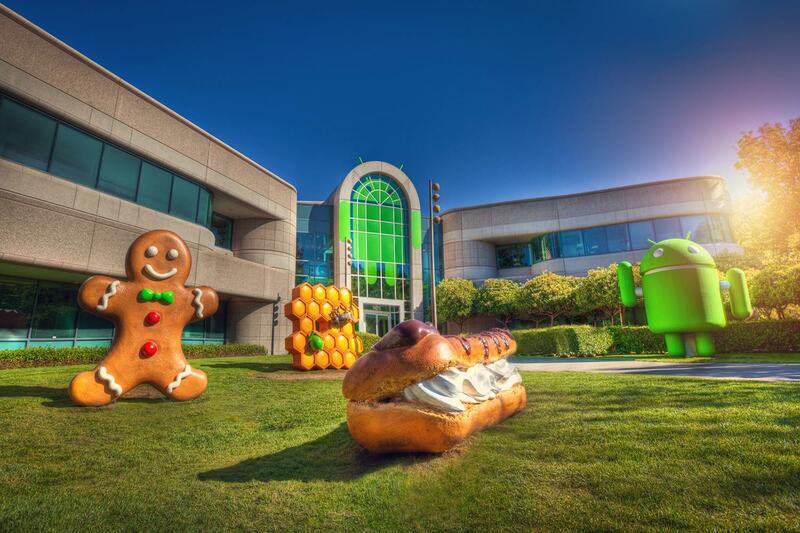 Google HQ is famous for having many an amazing design with a lot of cool stuff available for the company's Employees, don't forget the Android Statues at the entrance of the Googleplex. Every Android version has a Statues from the first Android 1.0 to Lollipop 5.0 that was just revealed. 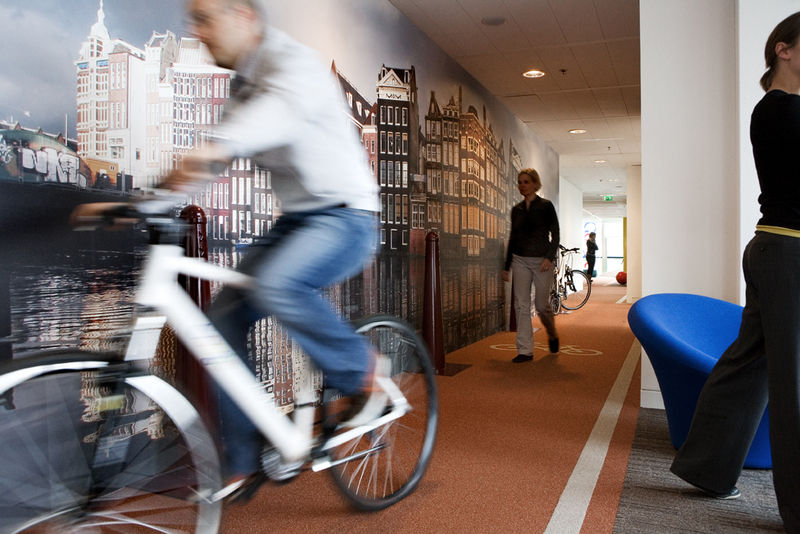 Check these photos below from Inside Google's HQ! 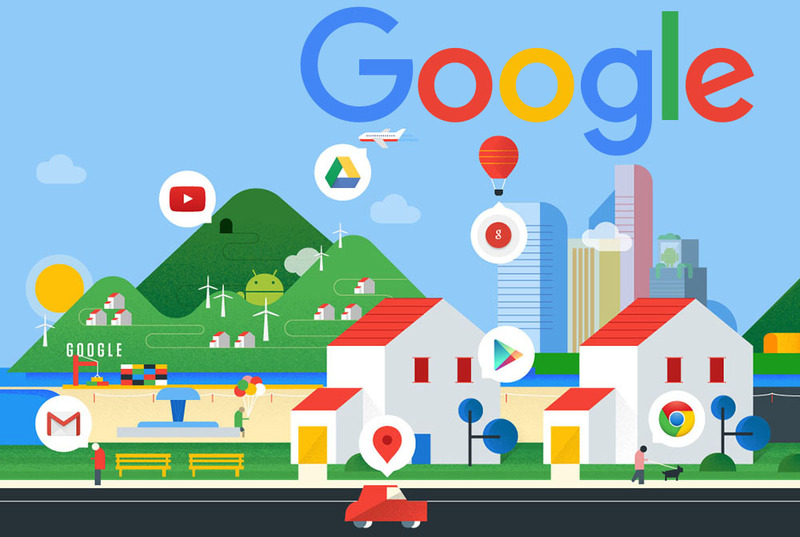 After changing Android's Design and Logo, Google is now changing its look and logo. 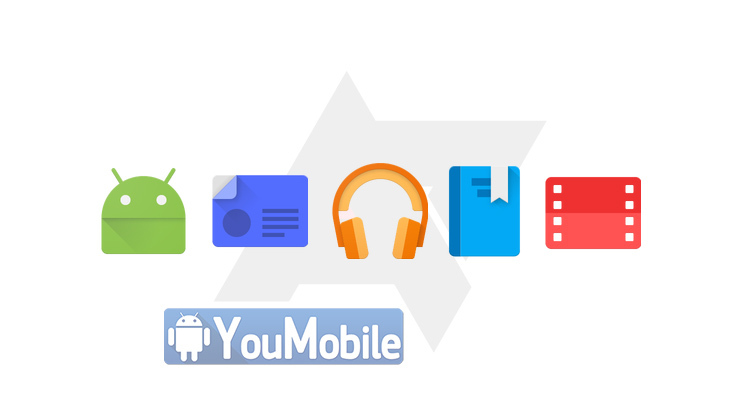 Google's New Logo is flat with sharper angles and curves, you can already see the new "G" logo all over the company's official apps in the play store. The new Google logo [picture below] is still a wordmark, but it's now using a sans-serif typeface, making it look a lot more modern and playful. The colors are also softer than they used to be. 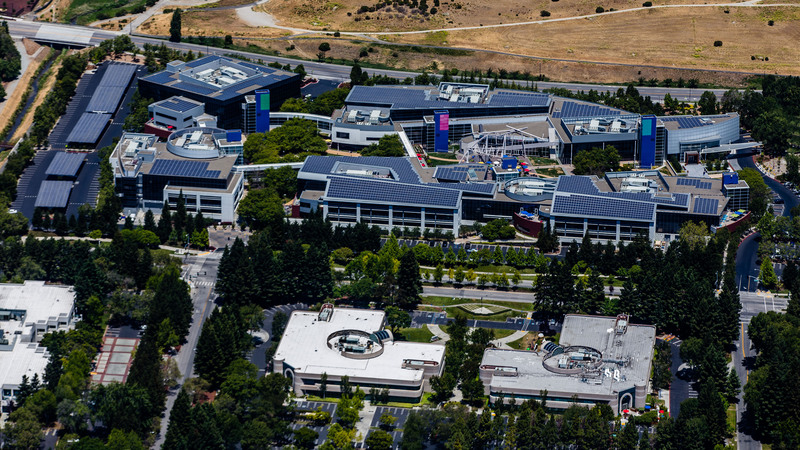 The logo bears a bit more resemblance to the logo of Google's new parent company, Alphabet, as well. Alphabet's wordmark has a similarly unadorned look, and this update makes the two companies' design language fall more inline. Thanks to GeekCeption, we can now look at most of the beautiful animations embedded in Android N, before its official release. In fact, he films them all in slow motion, which makes them even cooler to look at. 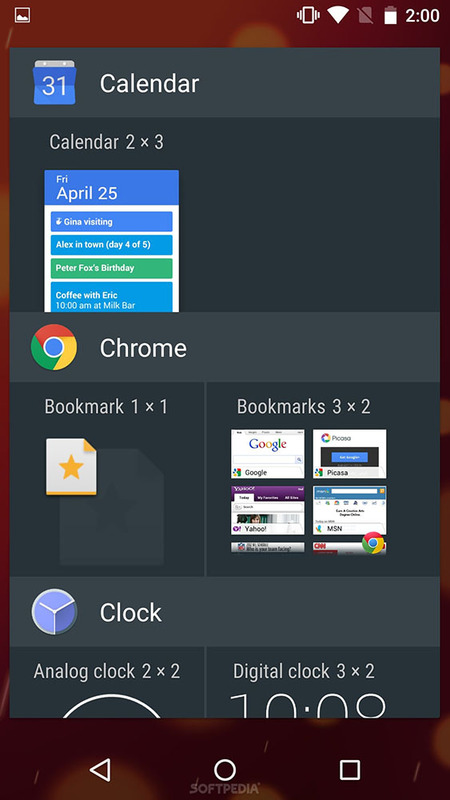 Everything you see is of course, based on the latest developer preview that Google released a while ago. There are people who will try to convince you that these effects are unnecessary, but they are wrong. A user interface is all about the user experience and how the different animations look while performing various tasks on the phone is an integral part of that experience. 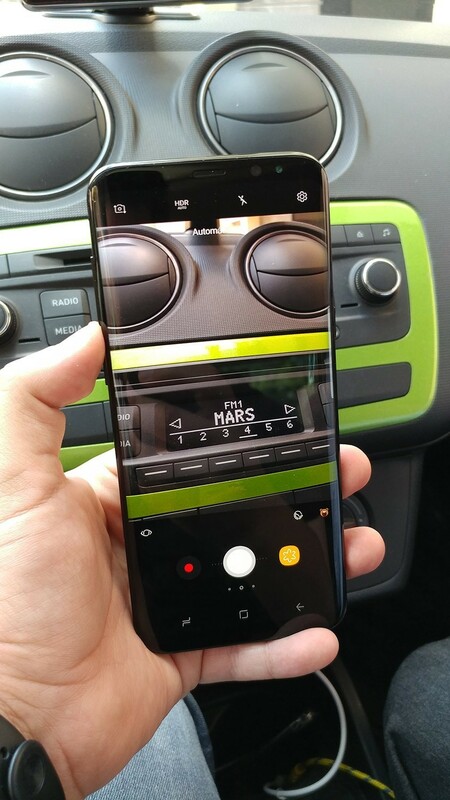 There's a reason as to why the OEM companies put so much effort and money into the special effects and animations; it is because of the fact that without them, smartphones would just be boring pieces of technology that people use. Apart from the tech bit, one simply cannot ignore the happiness and excitement that can be seen on the host's face throughout the video! You might start to smile a bit yourself as the infectious cheerfulness begins to catch on by the end of the video. Take a look now to see what we are talking about. The World's most popular Mobile Operating Systems, Android. 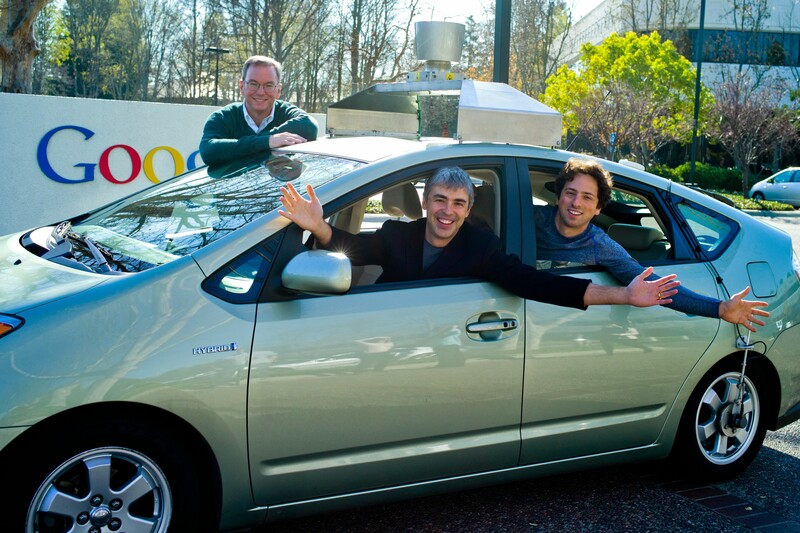 The whole thing started when Google acquired a tiny startup called Android Inc. in 2005. Originally, Android was made for digital cameras. 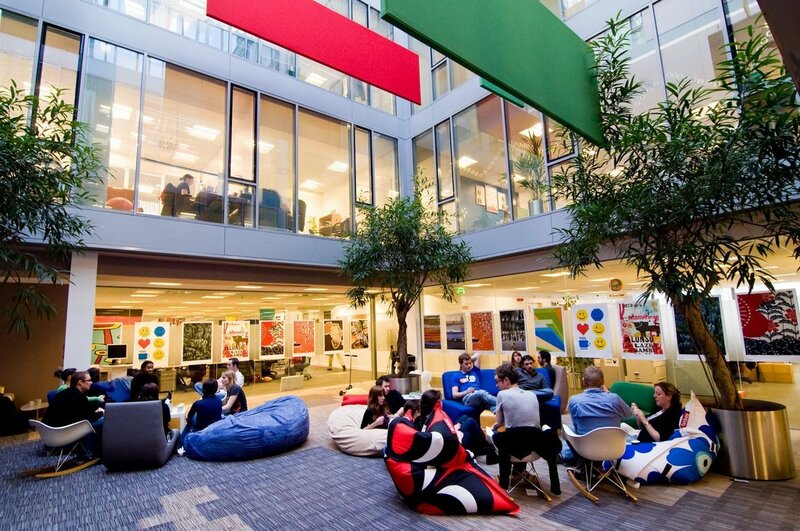 Google paid $50 million and took Android to its HQ. After whipping the OS into a market-ready shape for the HTC Dream (T-Mobile G1), which shipped in 2008 running Android 1.0, Google has been through 12 generations of the green bot already, each being nothing less than a milestone and mobile technology development driver. 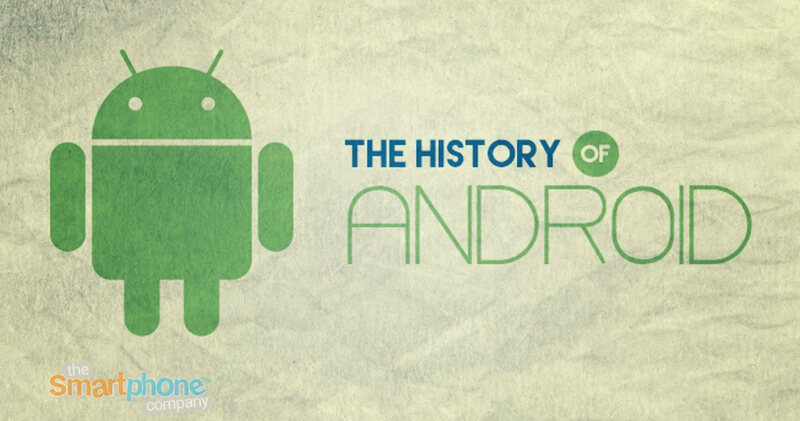 Android's history makes for an engaging, but quite a lengthy read! The infographic stretches from Android's murky, Linux-derived 2008 beginnings all the way to the present greatness that is Android M. The most important additions in each versions, along with their representative flagship phones are highlighted and illustrated. 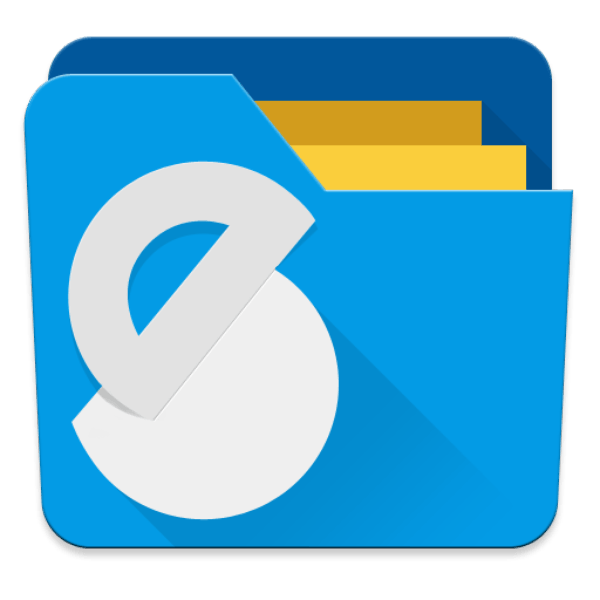 Solid Explorer 2.0 BETA looks completely amazing because it includes Full Material Design UI. It has all of the Lollipop animations we've come to expect, along with a proper full-height navigation menu, floating action button, and colored status bar. The default blue/orange UI can be changed to whatever you like in the settings. You even get animated thumbnails for video. That's cool, but I could see it ending up a little annoying long-term. The app looks great, but I'm not sure about the icon. 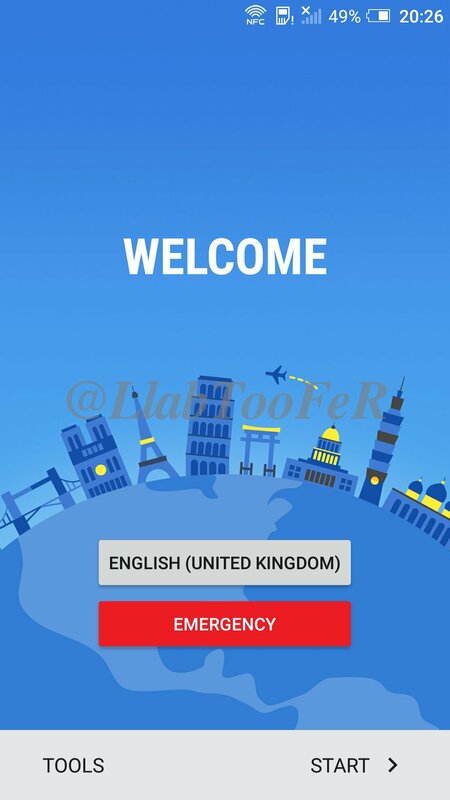 You can Try Solid Explorer 2.0 BETA on your Android device now, by joining its Google+ Community HERE then head to the Play Store link to Become a Tester HERE Or download the official APK below. 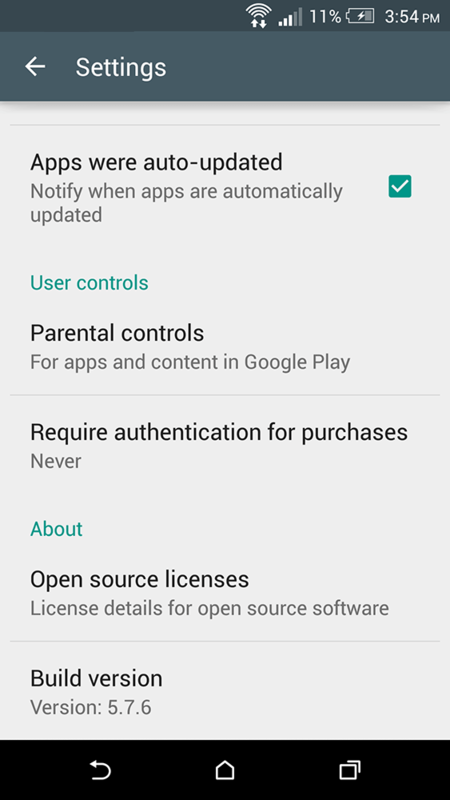 Google Play Store App updated to version 5.7.6 with various bug fixes and some minor UI changes. The new update adds some new Tweaks to the "characters" section animation. One of the most notable User Interface changes in this update is the New look of the "What's New" section in the App's pages. 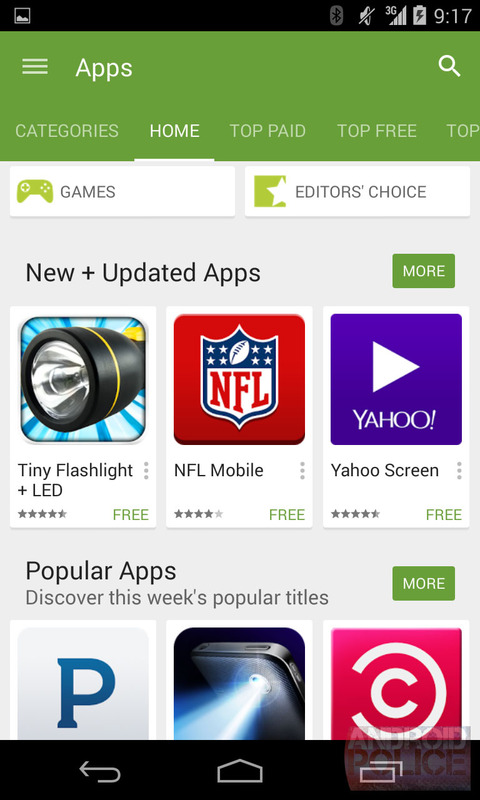 This section displays the latest app update change-log, Google added a dark green text to the light green background with a new symbol in the upper left corner. 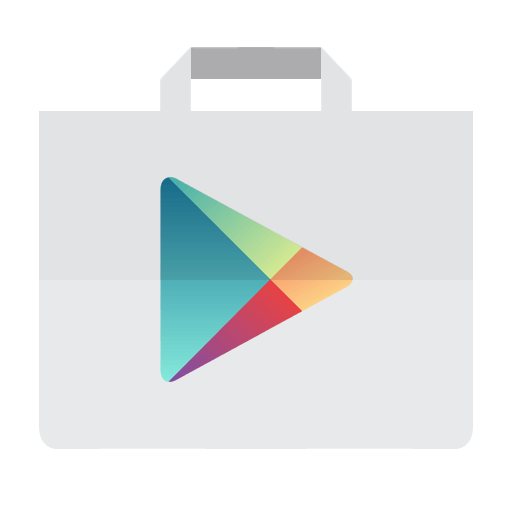 To get the Google Play Store App version 5.7.6 now without waiting, you can Download and Install the Official APK from the link Below. 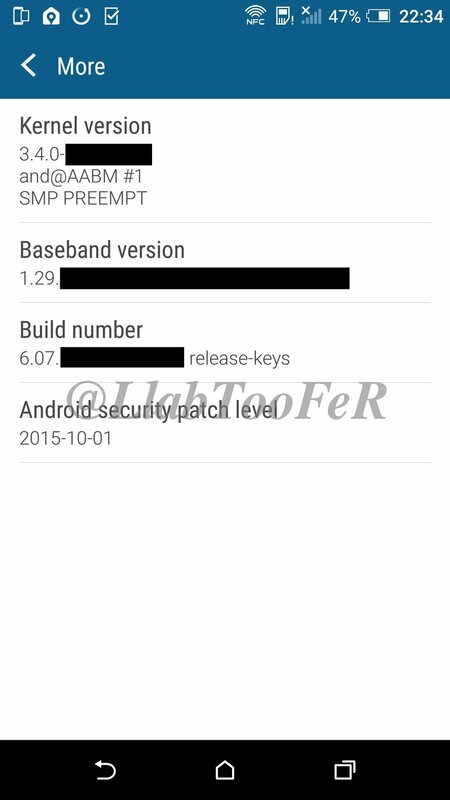 This APK has not been modified by any means and it's 100% safe to install. Enjoy! 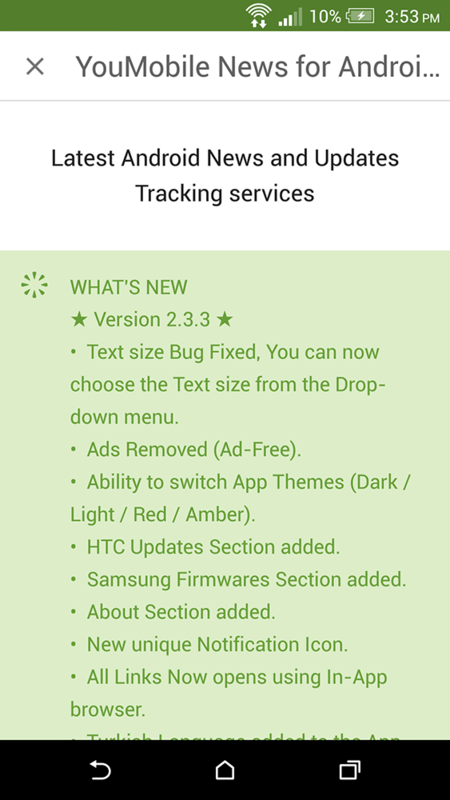 Google Play Store App updated to version 5.7.10 with various bug fixes and some minor UI changes. The new update adds some new Tweaks to the "characters" section animation. One of the most notable User Interface changes in this update is the New look for the "What's New" section in the App's pages. 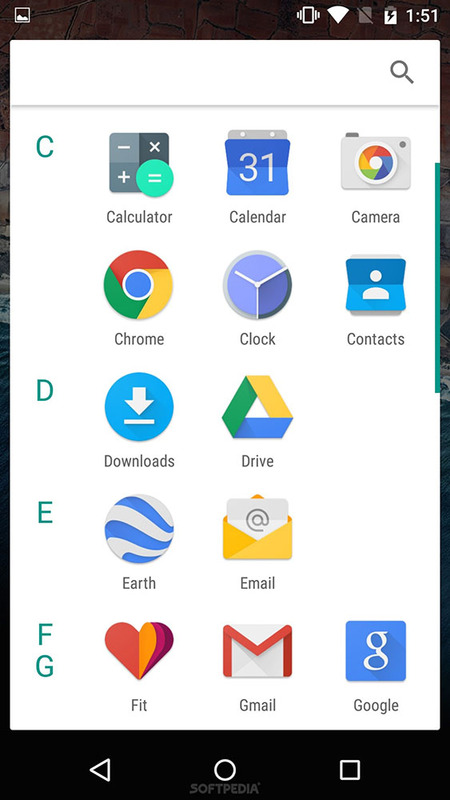 This section displays the latest app update change-log, Google added a dark green text to the light green background with a new symbol in the upper left corner. To get the Google Play Store App version 5.7.10 now without waiting, you can Download and Install the Official APK from the link Below. 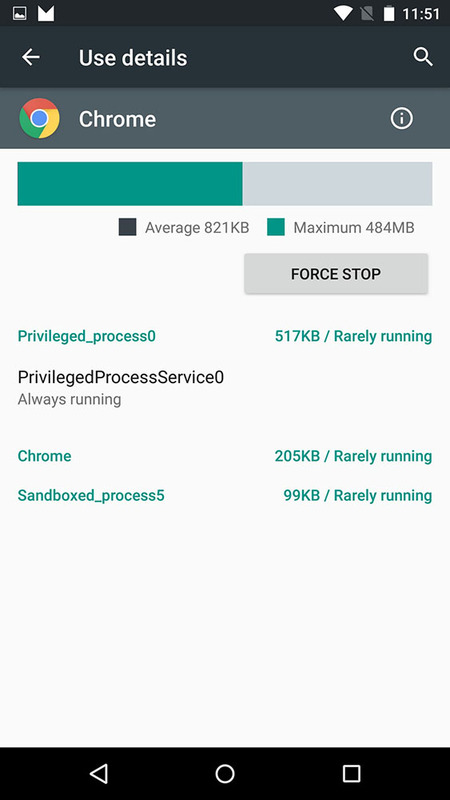 This APK has not been modified by any means and it's 100% safe to install. Enjoy! 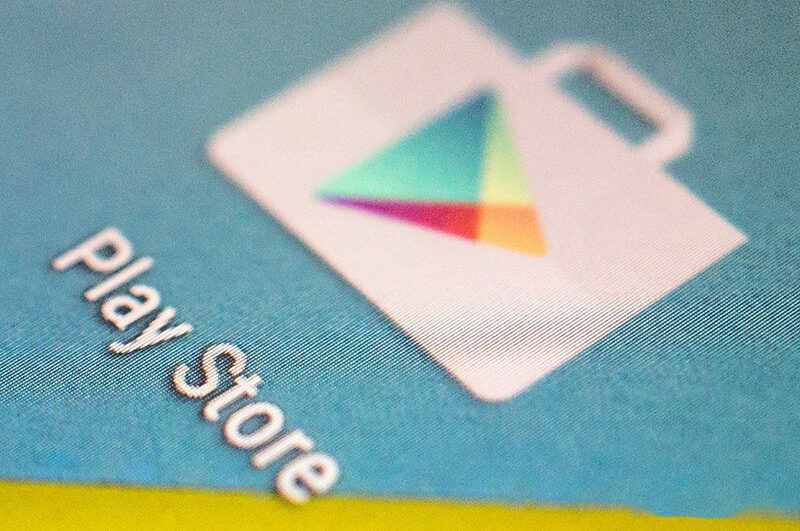 We can now take a closer look at Google Play Store 5.0, the upcoming update to the Play Store App for Android. This version fully integrate the new Materiel Design UI in all the App aspects and sections as a preparation for Android L release. 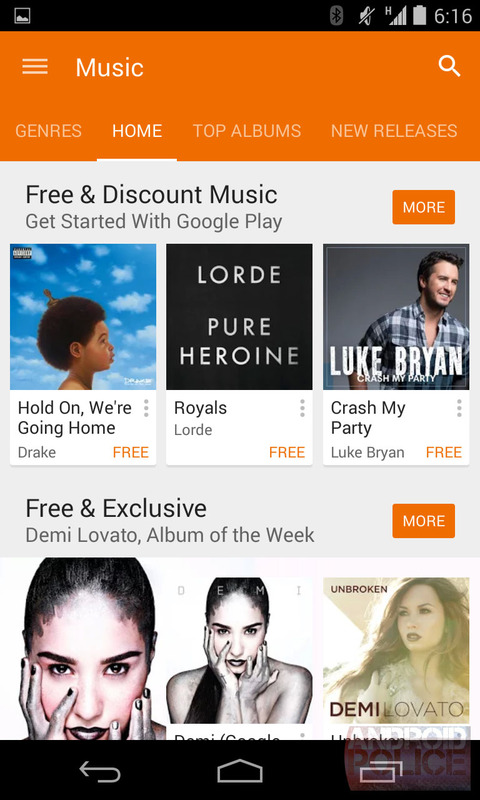 Update after update, the Play Store was already pretty close to falling in line with Google's latest design vision. 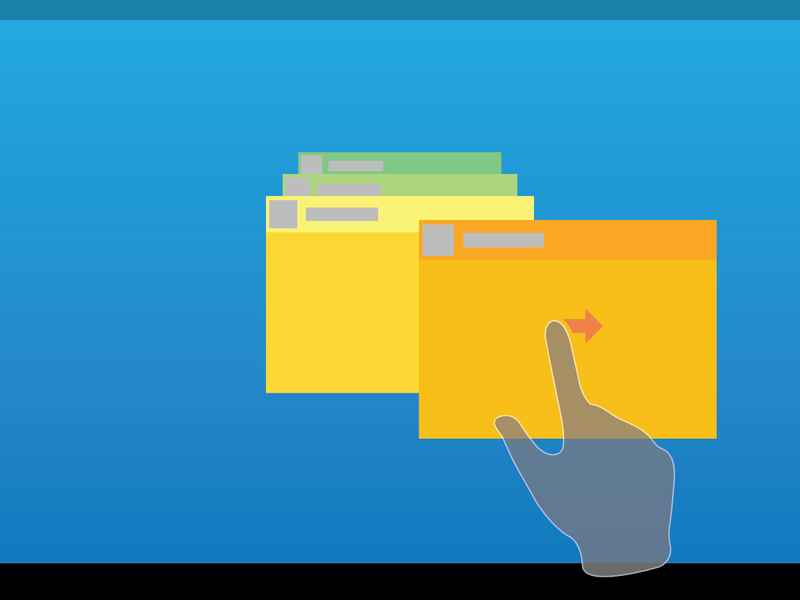 Its flexible, adaptive card-based interface already carries out the metaphor of paper-based interface elements, but certain visual aspects were missing. Not all of those pieces (like buttons) have been put into place just yet, but it's a step in the right direction. The most obvious change here is the color palette. Drawing from Google's new Material Design palette, each section has new colors that are brighter, more vivid, and more integrated into the design, with re-colored buttons and accents, and a colored toolbar that extends down to the re-styled category tabs. We currently don't have the APK but you can to expect it very soon, it will be released before the Android L Official release which is Coming Very Soon. 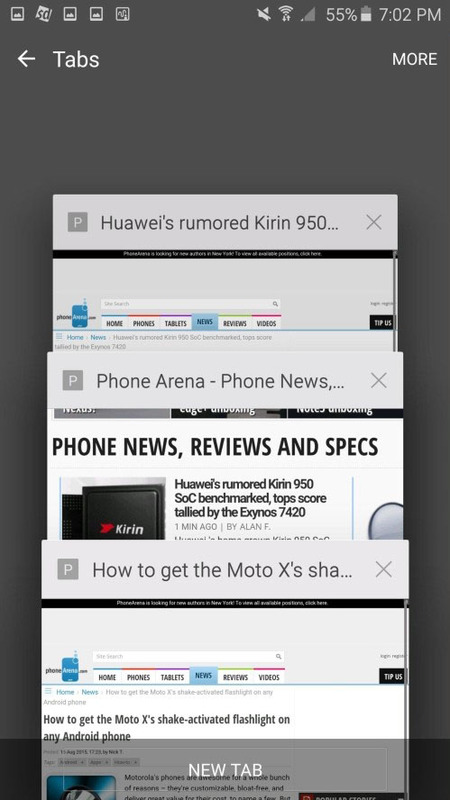 Tags: first look xiaomi mix [photo] take first look samsung galaxy active exclusive screenshots photos take look samsung's new touchwiz edge+ note5 android screenshots change-log closer look google exclusive video first look htc's android 6.0 marshmallow sense 7.0 user interface official ota firmware update download screenshots first look upcoming htc one marshmallow 6.0 with sense 7.0 first look htc one phunk design limited edition photos first look htc one running official android 5.0.1 lollipop update with sense video galaxy edge look almost same edge? 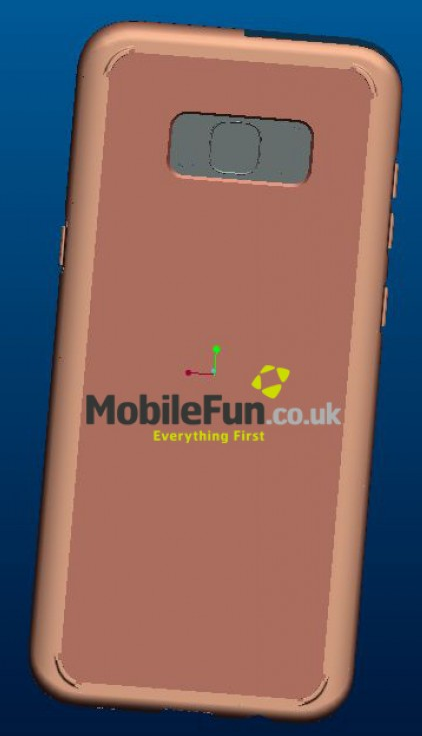 first look what could possibly usb type – cable note samsung galaxy note first look closer look samsung's touchwiz themes lollipop android update photos another case leak out give better idea about how galaxy might look look galaxy plus back this best look galaxy yet thanks benjamin geshkin better look actual galaxy plus let’s take another look black galaxy first look galaxy s8+ camera interface high resolution galaxy s8+ official tomorrow: final look before unveiling look galaxy 2017 2017: leaked images rumors take look these leaked galaxy note specs this what galaxy s9+ possibly look like out first look official galaxy box let’s take look some fake galaxy note images this what galaxy note look like take look this amazing galaxy s10 concept another look galaxy note this how samsung foldable smartphone probably look galaxy s10 look same s9? 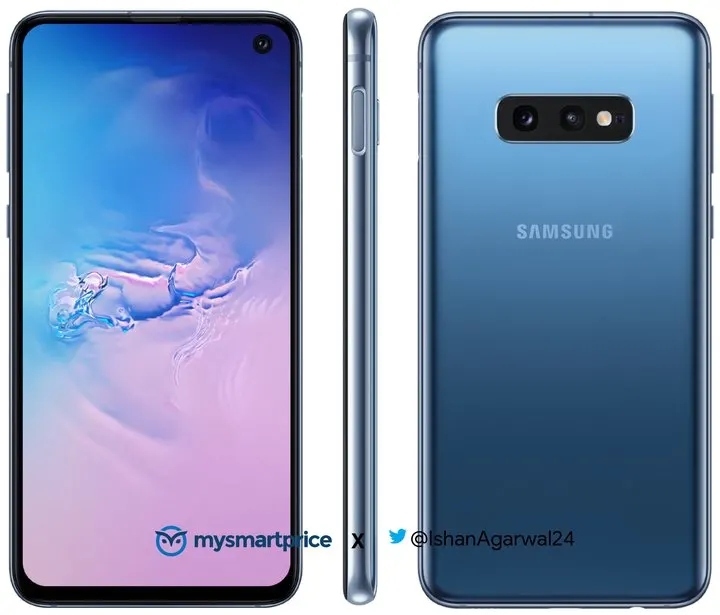 look galaxy s10: red blue yellow ceramic renders surface online look inside google's headquarters android statues 2014 photos photo google new look logo here 2016 take look these cool new animations android super enthusiastic youtuber who shows infographic photo look android operating system history look solid explorer 2.0 alpha with full material design try download google play official apk download look solid explorer 2.0 beta with full material design official apk download google play store v5.7.6 rolling-out with updated what's new look official apk download google play store v5.7.10 rolling-out with updated whats new section look take look google play store app 5.0 update coming soon apk download screenshots apple iphone 7/iphone plus: final look what need look out when joining slot sites? We reported yesterday a confirmation we got from various reports and sources that Google will release the Android L final version with Nexus 9 and Nexus 6 on Mid-October. Nexus 6 is reported to be the first Motorola-made Nexus device. 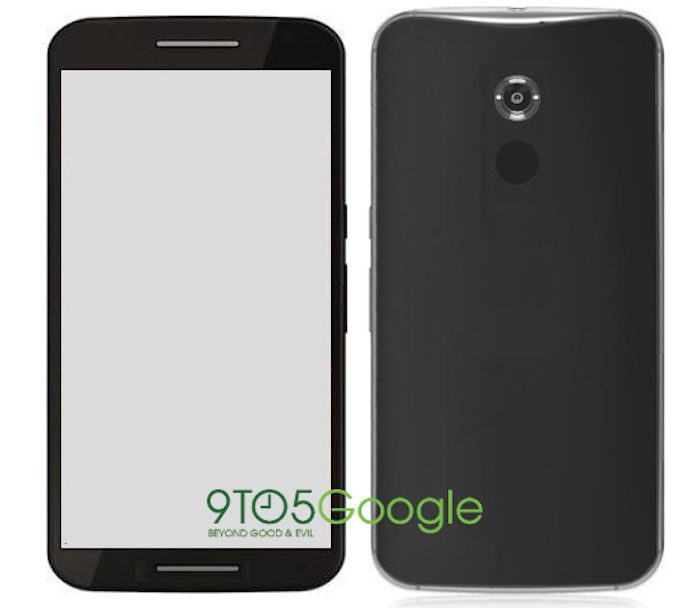 Today, we got more info and confirmation about the Moto Nexus 6 (Photo above) from 9to5Google. In the next 15 days, we'll see a lot of details and leaks of both the HTC Nexus 9 and the Moto Nexus 6, stay tuned with YouMobile to get updated. LG is showing off the upcoming version of its Android interface, which will power the upcoming LG G4 (to be revealed this month). LG UX 4.0 is the forth version of the Korean company Android User Interface. 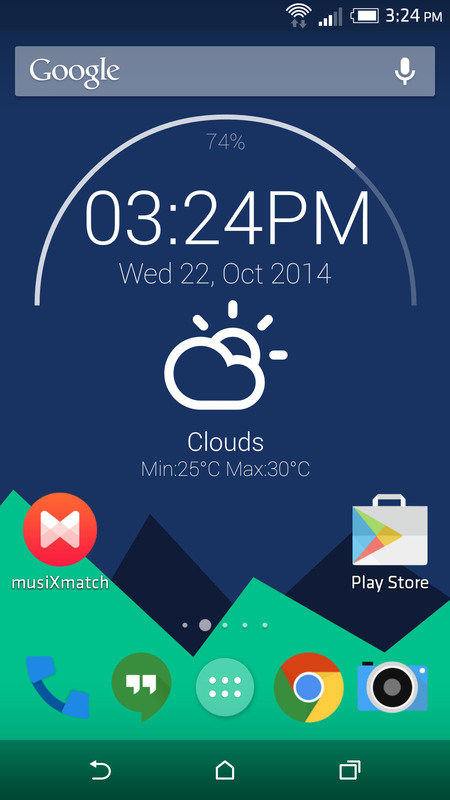 This time with some Lollipop and Material Design on board (screenshot below). A promo video released yesterday spent a minute recounting the key features of the first there versions Quick Memo and QSlide of the original, then the KnockON and KnockCode of the second version and the Gesture and Touch shooting options of the third one. 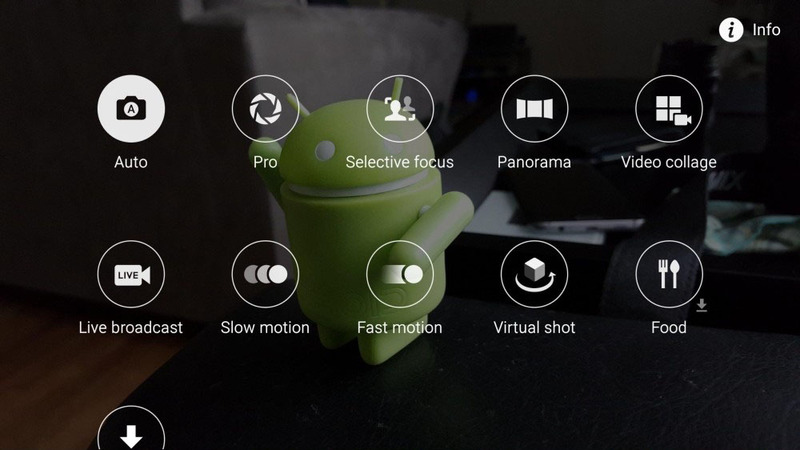 Finally, LG UX 4.0 adds Camera Manual Mode and Smart Notice. The camera of the LG G4 will offer three modes Simple, Basic and Manual to adjust to your skill level. Simple is just a point-and-shoot, while Manual Mode will give you full control over the camera settings. 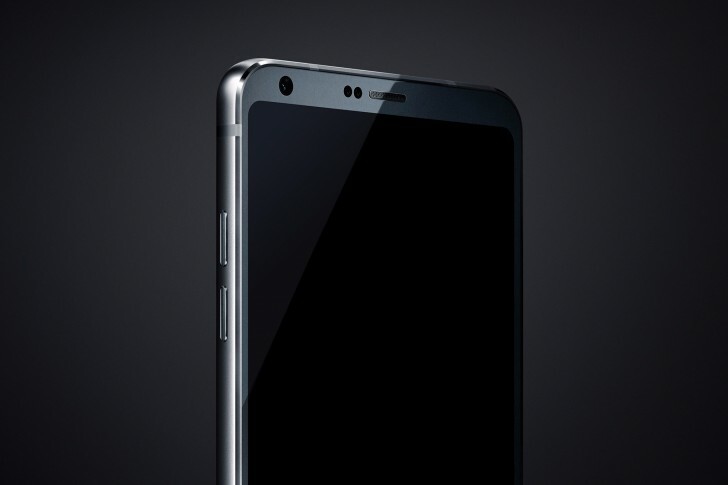 The LG G6 will be launched at the Mobile World Congress next month and we already know that it will be the first phone in the world to sport a display with 18:9 aspect ratio. 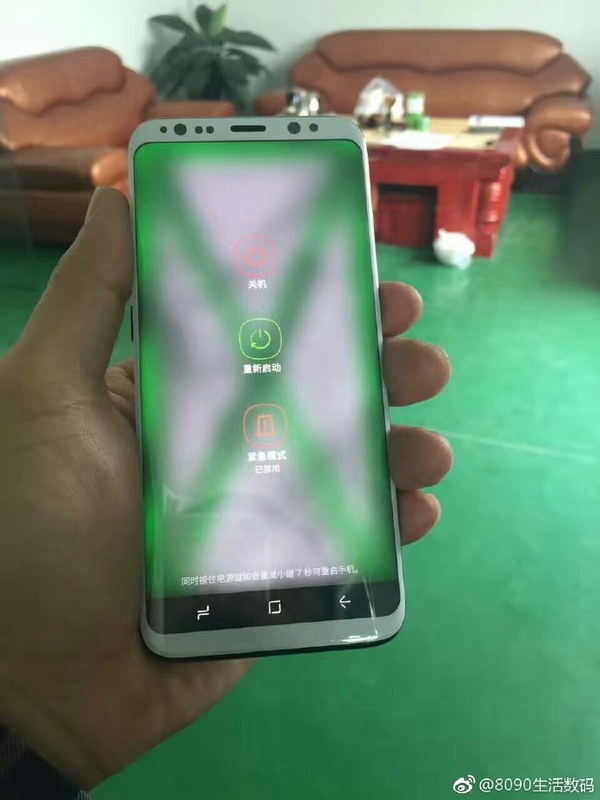 While we did get our "first look" at the upcoming smartphone via a leaked render about a month ago, this is probably the real deal. Although the image isn't exactly what I would call revealing, it does show a few things about the G6 that we had been expecting. The bezels look minimised and the source mentions that the screen-to-body ratio is actually more than 90%. 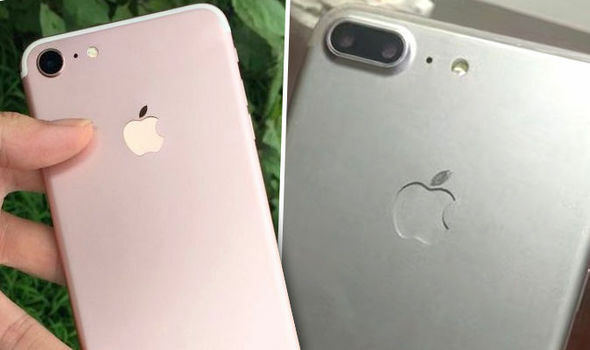 The only other things which the image reveals are the front camera, sensors and the volume buttons at the left side of the phone. Until a more revealing image leaks out, take a look at the specs which we already know about, mostly via the courtesy of rumors. 3.5mm audio jack, water-resistant glass and metal build, Google Assistant, iris scanner, non-removable battery. 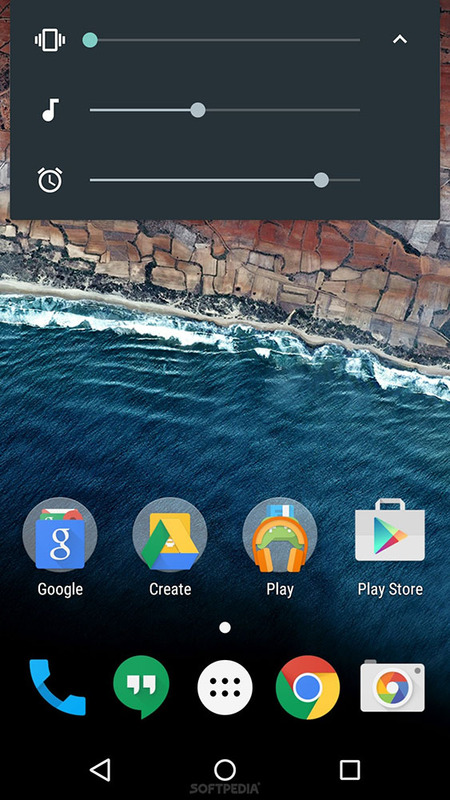 Want to get Android 5.0 Lollipop look ? If you're still waiting for the lollipop update to hit your phone or you just want to enjoy the gorgeous flat design of lollipop... We have the solution for you and it won't even cost you a cent. 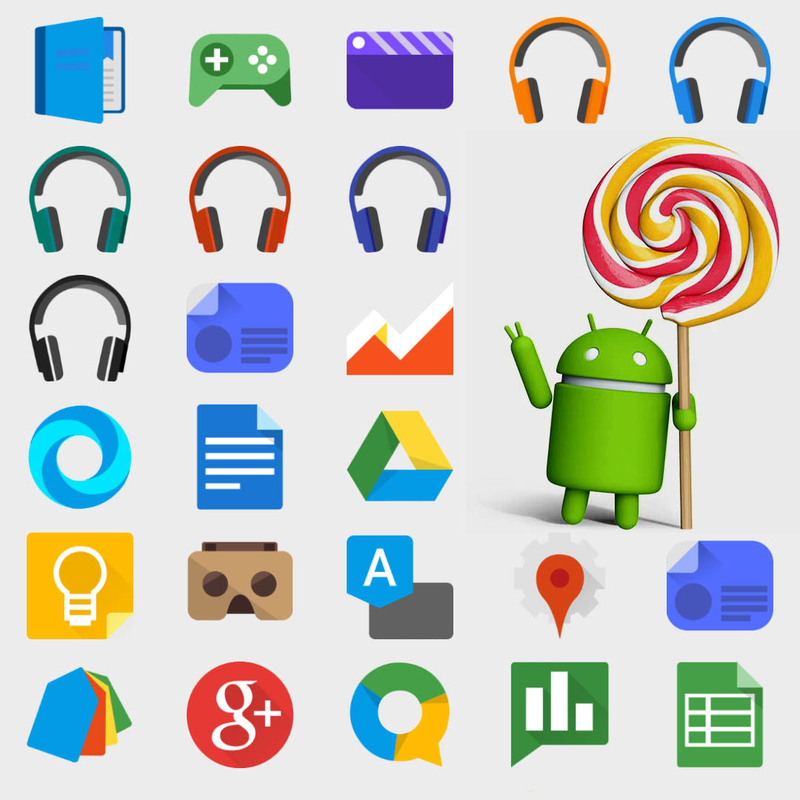 Let's start with Android 5.0 Lollipop Icons set first. 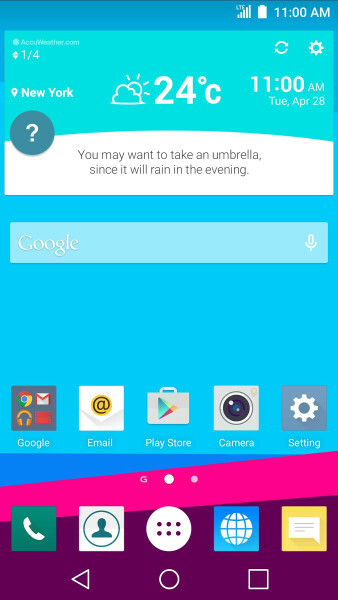 To get the Android Lollipop flat Materiel Design Icons, All you need to do is to Install Moonshine Lollipop Icon Pack Free from the Play Store, which packs all official Lollipop icons along with some other flat icons. 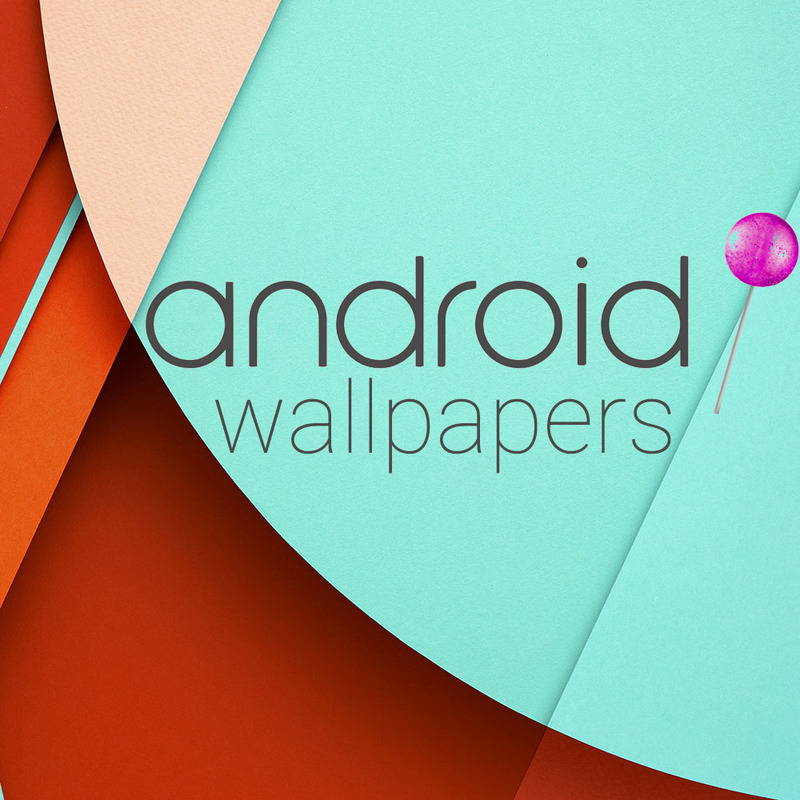 After getting the Lollipop Icons, It's Time to get the Lollipop Wallpapers too. 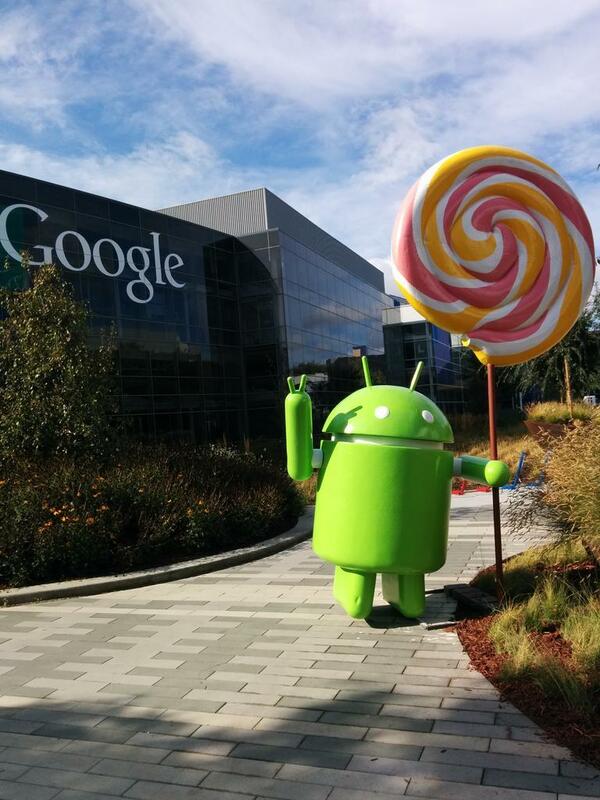 Here's the 11 official Lollipop wallpaper from the latest Developer Preview released from Google, just download them all from the link below... Hello Lollipop! 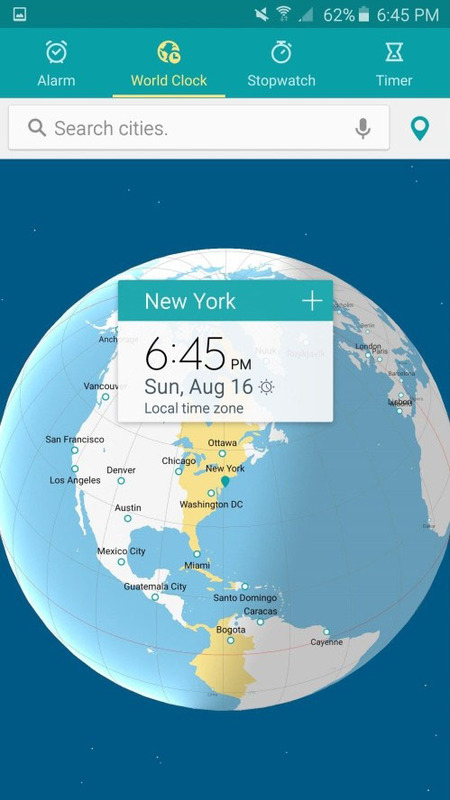 Google is working on improving the User Experience of Android with a new Multi-Window tool that will be included on the Android L official release, which is by the way pretty soon (October 16th). Basically, users can have two open apps at a time. 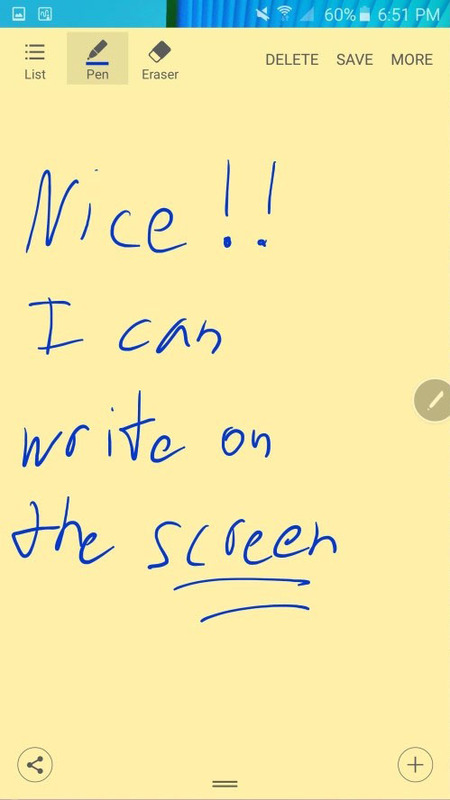 From the recents app menu, users could swipe recent entries to either side of the display, "snapping" them to that half of the screen, leaving the other half of the screen occupied by the home screen or recents app menu. 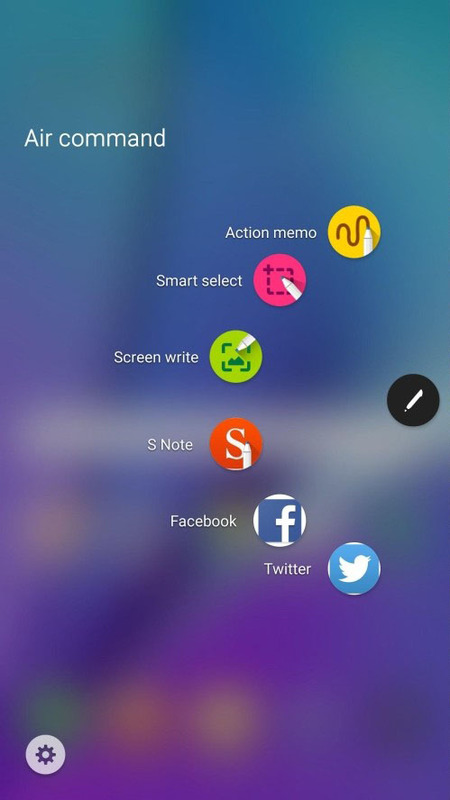 Samsung already included this feature with the Samsung Note 3 TouchWiz UI, Google took the same concept but made it a lot easier to push an App to fir half of the deices's screen. 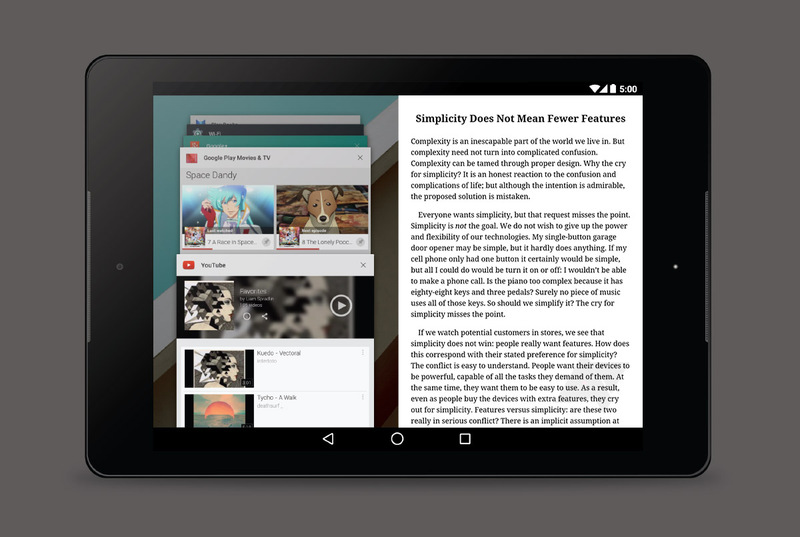 We should see this feature as a default on all Android L devices. 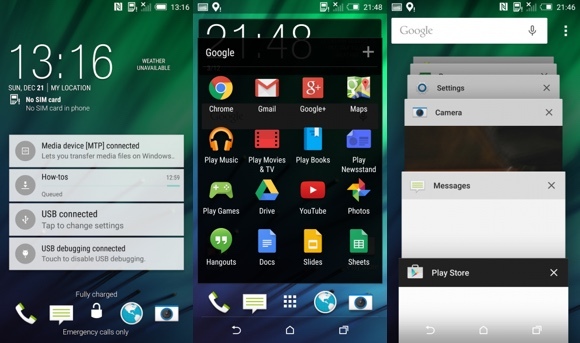 Today, We got a closer Exclusive look at Samsung Galaxy S5 Lollipop Update. 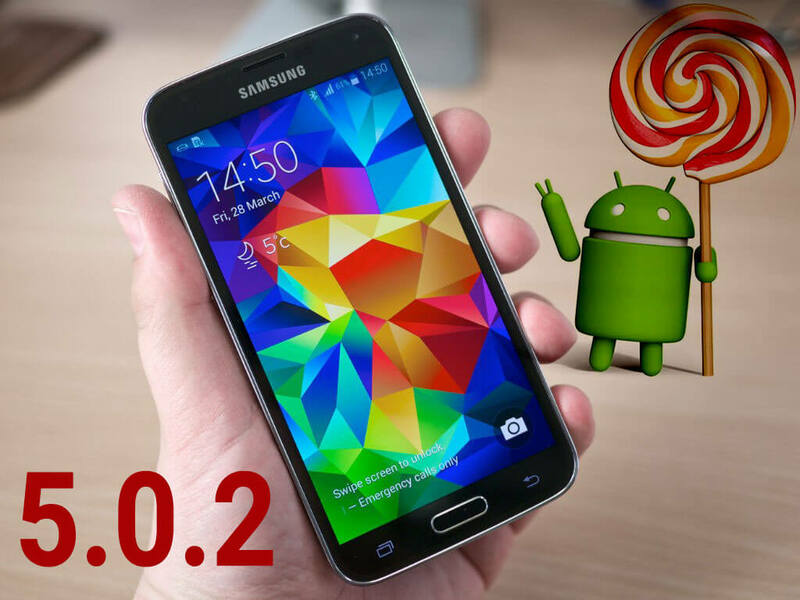 Lollipop will hit the unlocked Galaxy S5 devices this December. A new Hands-on video shows us the new UI and features of the update is now live on YouTube, TouchWiz UX will get a Material make over the same as HTC Sense 7.0 UI. 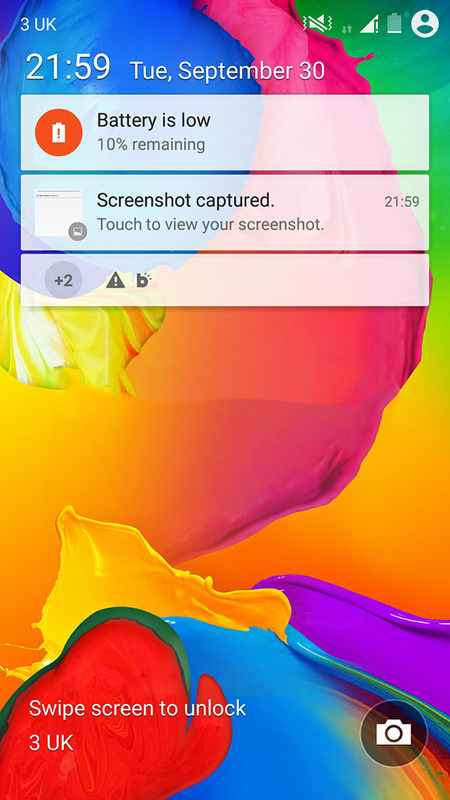 Check out the Screenshots from the latest Lollipop test build. The overall look is pretty similar to what we saw last time, but there have been a number of new features and tweaks added to the build. Including: a new Note 4 style fingerprint lockscreen, a search bar in the recents menu, and some smooth new animations. Some apps have been tweaked too, there is a new filter options in the Gallery app, an improved UI for music and a new search box for contracts. Material Design app colors also make their way into the status bar and Samsung has given everything the once over with its signature blue Touchwiz color scheme. The video shows all you need, Watch it below!